The resources listed within each of the subcategories below are aimed specifically at teachers. They provide a mixture of lesson plans, activities, games and more to promote discussion in the classroom. In addition, please see the 'Are you a teacher or parent?' section below some of the resources for supplementary notes on key terminology and related activities. 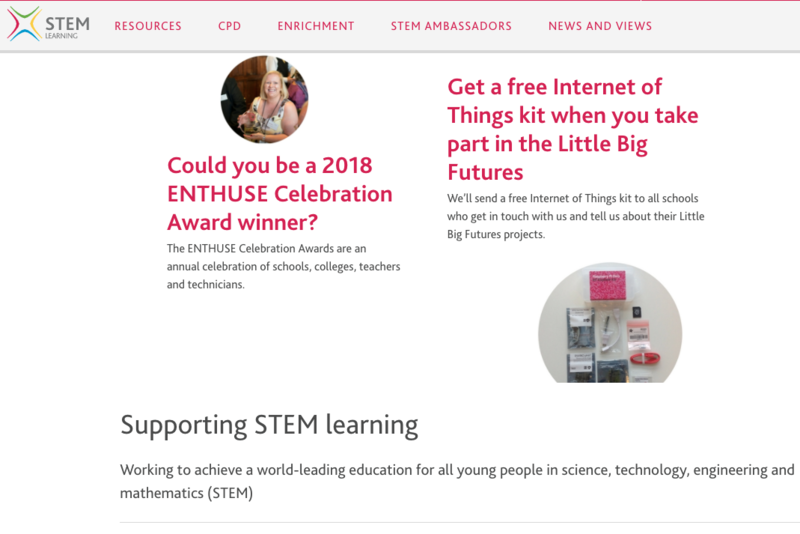 FREE education resources for 5-18 year olds can be used to teach a range of curriculum subjects including science, geography, English and art. 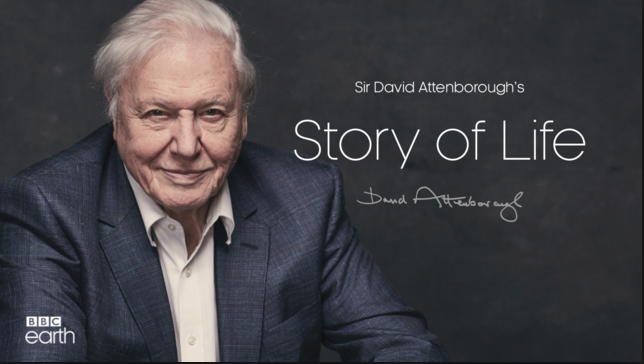 An incredibly diverse and comprehensive app with over 1000 of the greatest wildlife moments ever filmed for BBC landmark programmes. Many of these are ideal for classroom use. 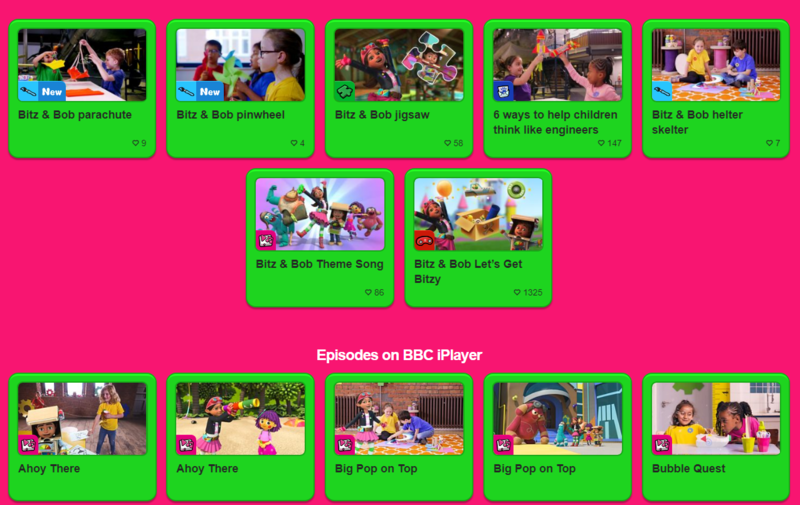 The app has a ‘my collections’ feature which facilitates pre-selection of clips to use. The app is rated 12+ because some clips contain ‘mild realistic violence’ that occurs in the natural world. Clear information together with great lesson plans and worksheets which cover multiple topics in the curriculum. There is also a great activity on dissecting an Owl pellet. 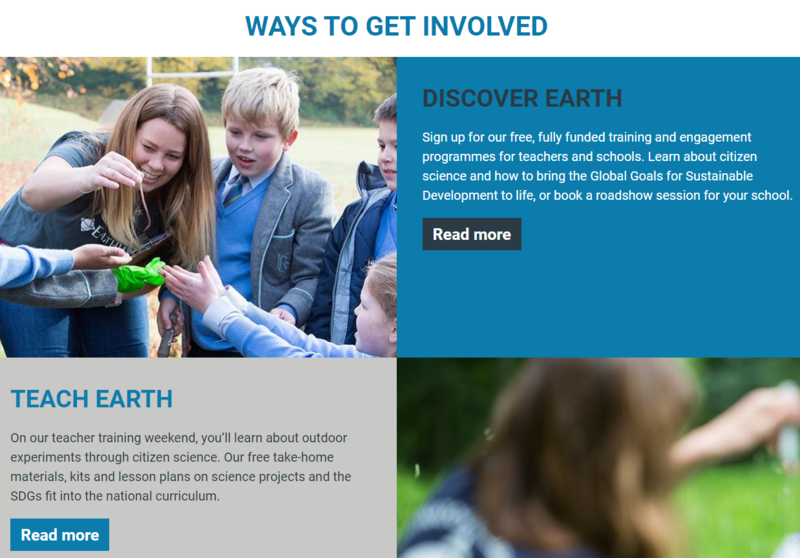 The Earthwatch Institute provides lots of free (and some paid for) opportunities for teachers to engage students in outdoor science and citizen science projects and provide lots of great resources to help you deliver inspiring lessons on the natural world. Sign up (free) is required to access the materials. 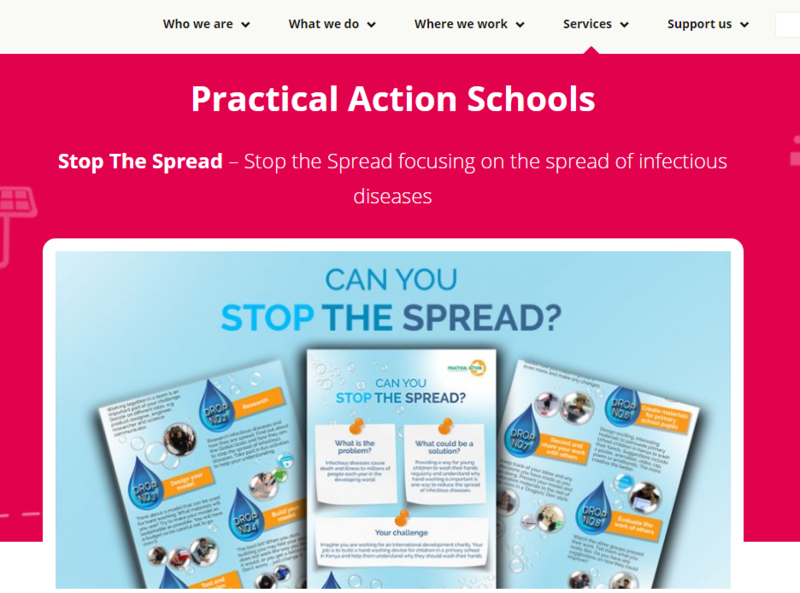 Resources to teach students about microorganisms and the spread, prevention and treatment of infection. 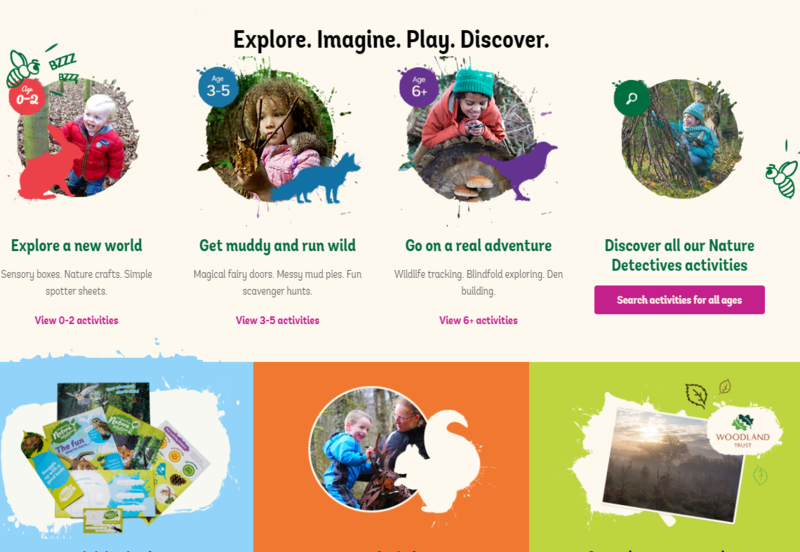 Activities about the natural world for the full range of primary ages. 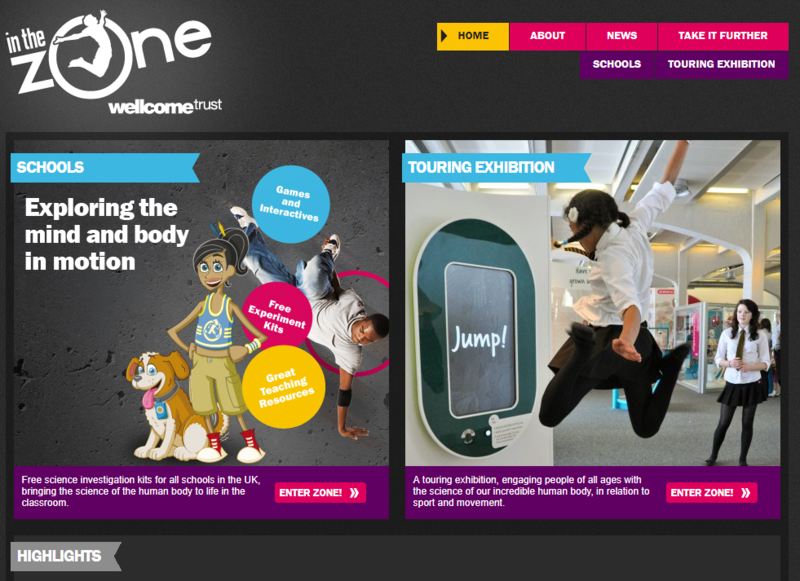 Inspired by the 2012 olympics this website has activities and games to teach students about how our bodies work during sport. 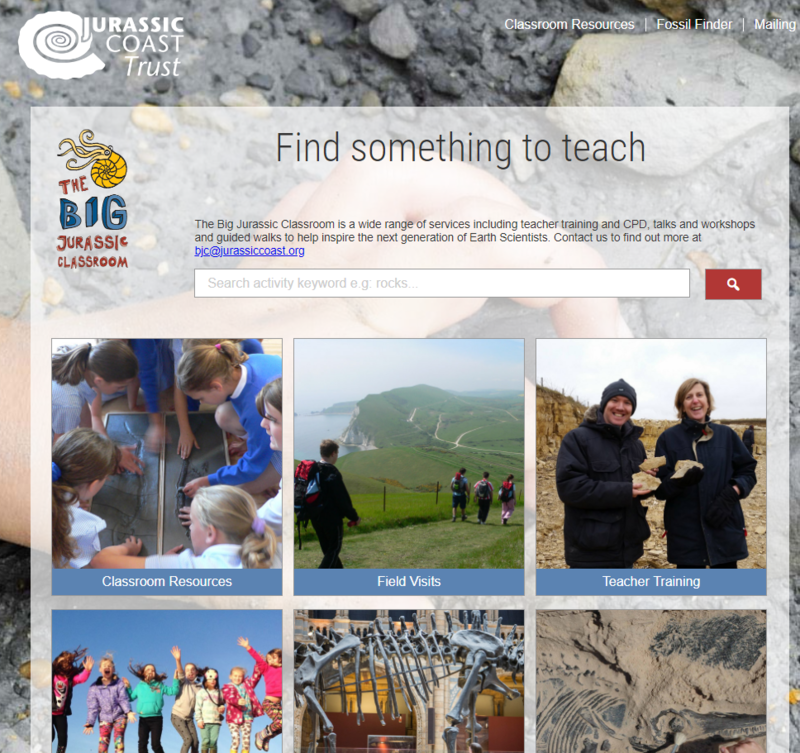 Guides on field visits, resources for the classroom and teacher training sessions all covering the Jurassic coast and the rocks and fossils that form it. 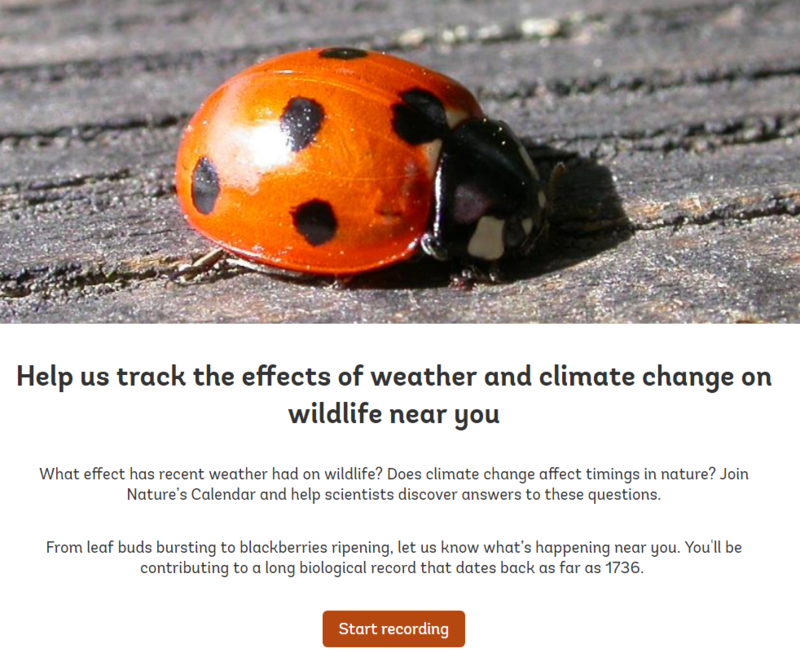 Discovery kits, fact sheets and posters covering the topics of classification, life cycles, plants, habitats and the most important scientists contributing to the field. 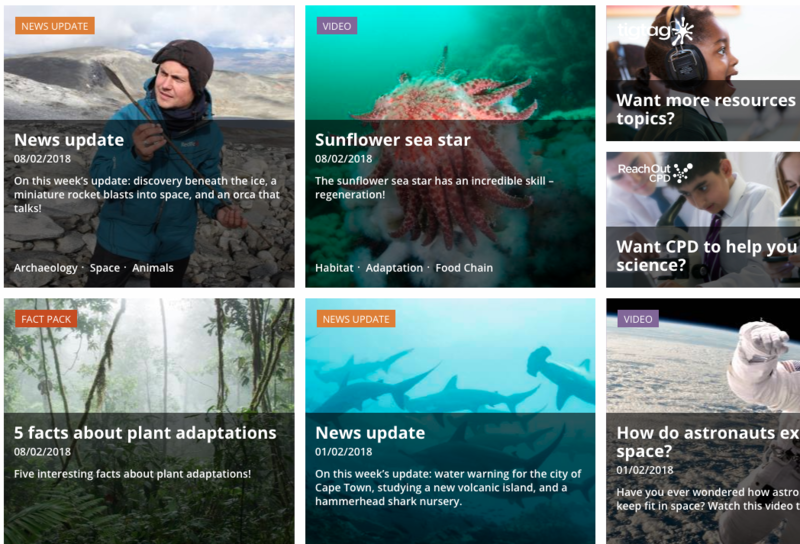 A collection of top quality resources on ocean environments (coral reefs, Arctic and Antarctic), providing lesson plans, activity sheets, amazing short films and photos for 7-16 year olds. 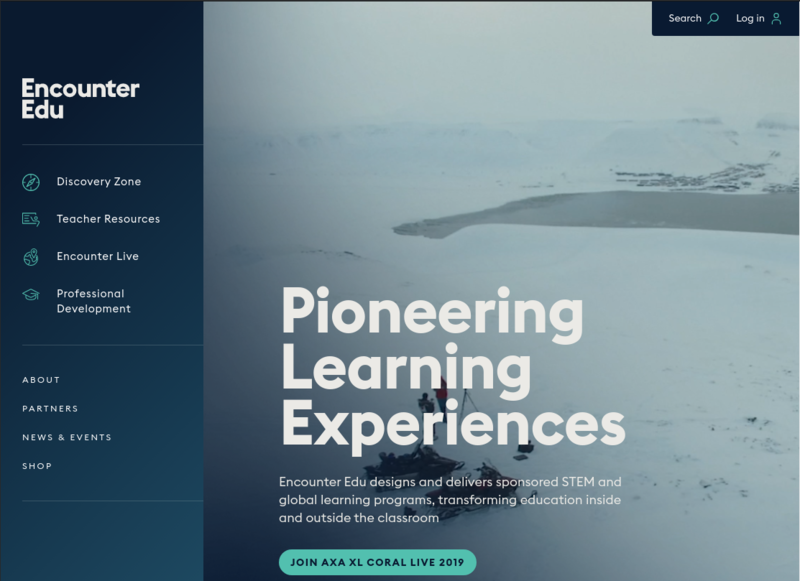 Join the Explore Live events to link your students with scientists and expedition teams and research alongside them. 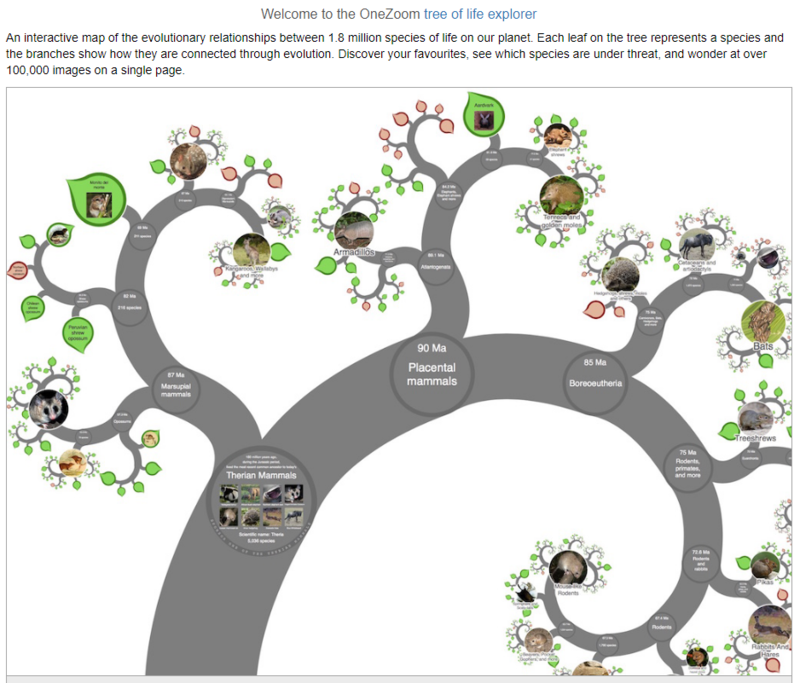 An interactive phylogenetic tree showing the evolutionary relationships between biological species on Earth. 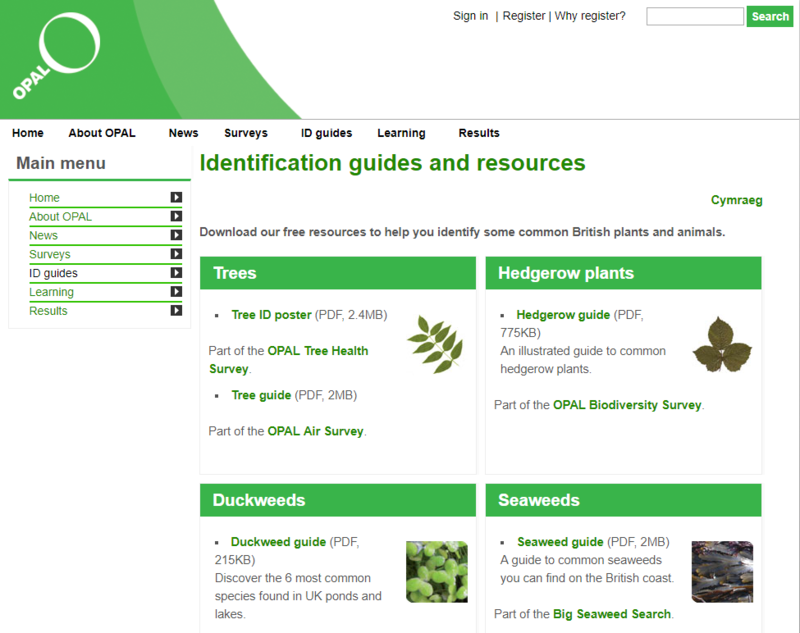 A great selection of free downloadable identification guides about common British plants and animals. Support and resources for lots of plant-related activity!! Activity ideas for both inside the classroom and outside in the field. 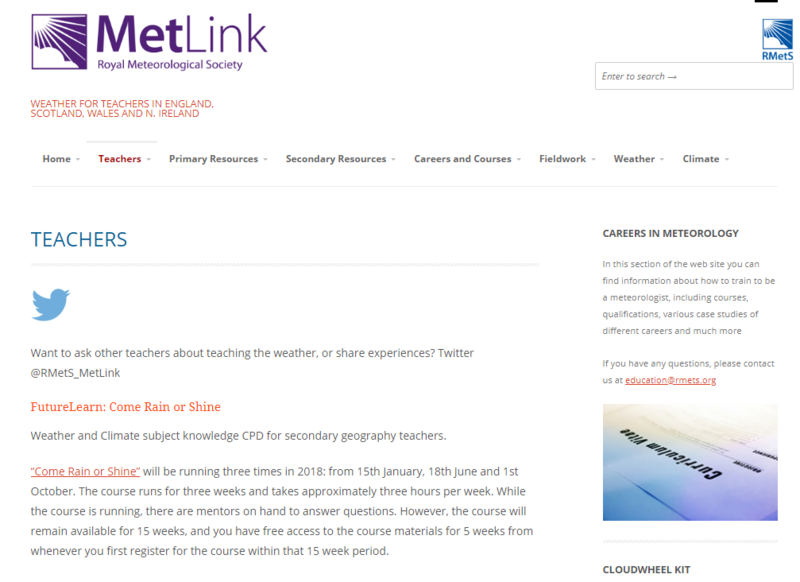 Also provided are instructions for experiments and useful links to support the teaching of weather and climate. Borrow 8 microscopes for your classroom and give your students some hands-on experience looking into the hidden microscopic world! These free kits come with activity sheets, samples and teachers notes. 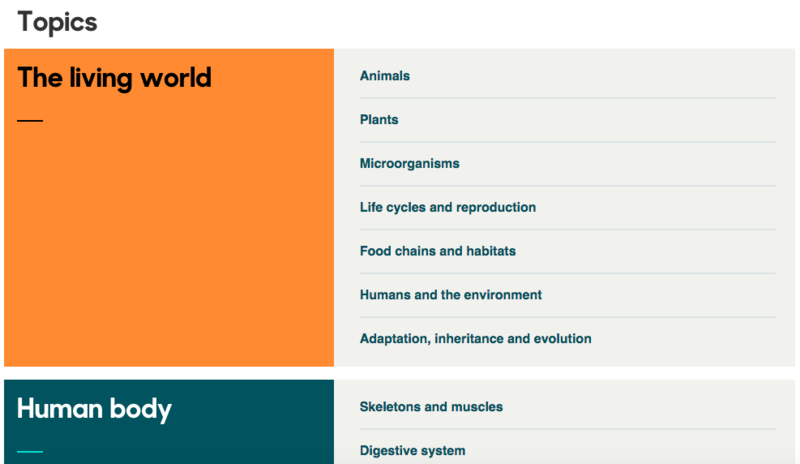 A broad range of resources covering diverse subjects in biology. 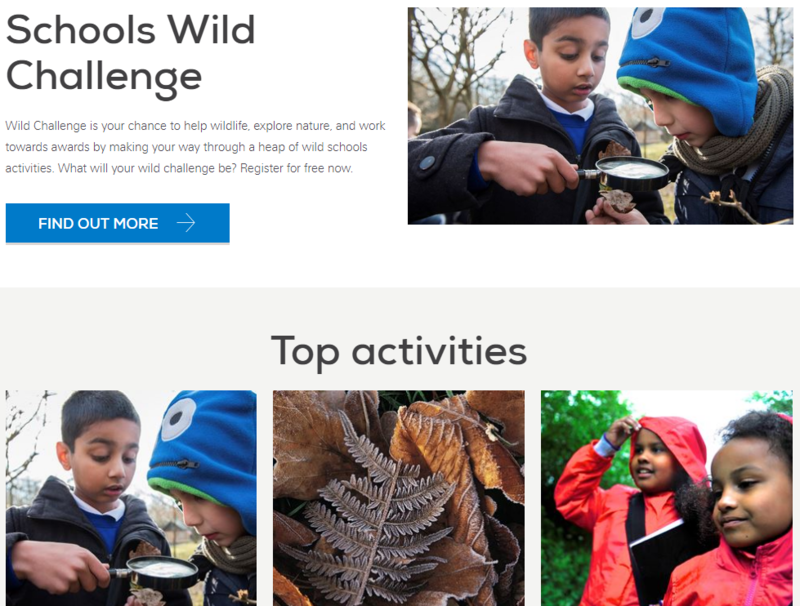 A range of activities and supporting resources to engage student with wildlife. The RSPB also offer an outreach programme, experts visit the school to show students just what can be found in your school grounds. 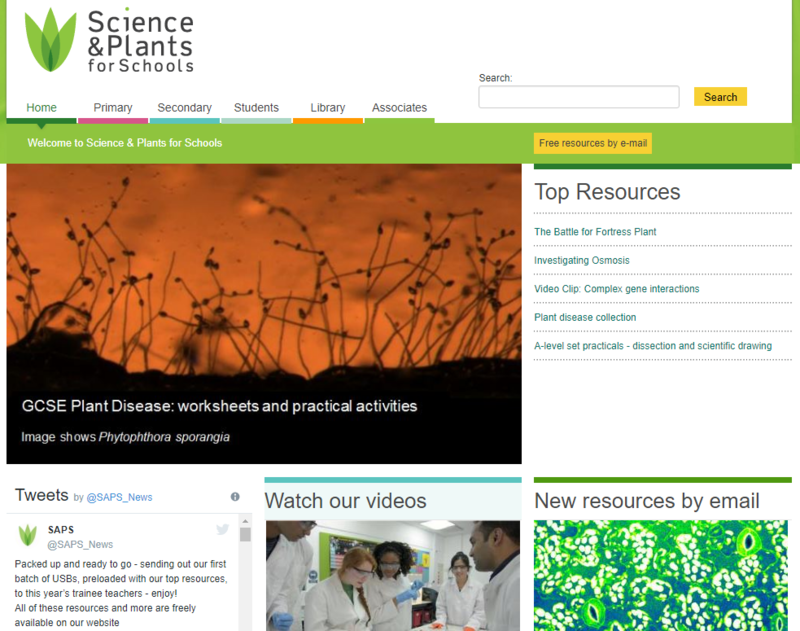 Teaching resources to cover plant science in primary school, also includes hints and tips to help bring the subject alive in the classroom. Free activities and learning aids that encourage children to embrace the natural wrld oaround them. The longest written biological record of seasonal changes in plants and animals throughout the UK. 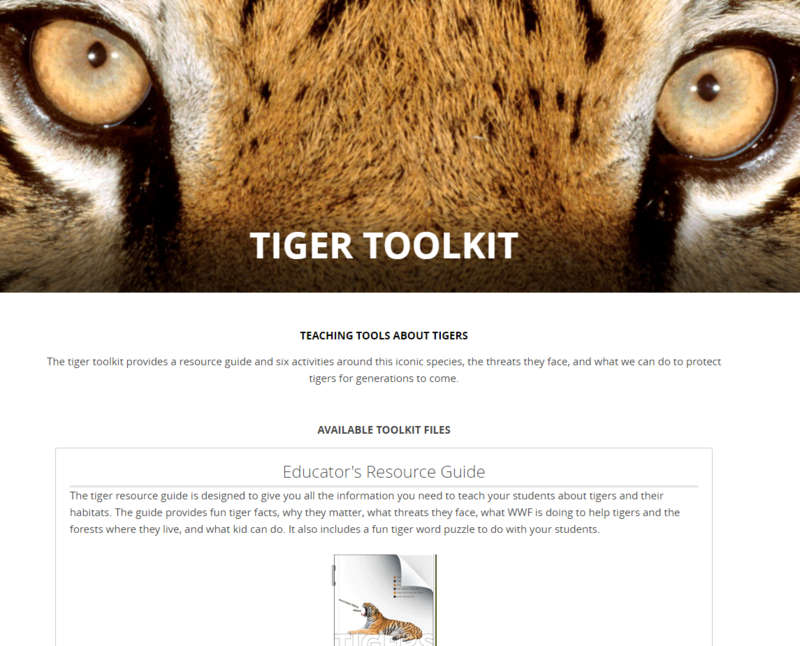 The tiger toolkit provides a resource guide and six activities around this iconic species, the threats they face, and what we can do to protect tigers for generations to come. This resource includes lots of background information and ideas for teachers plus STEAM, reading, writing and PE activity ideas. Aimed at US Grades 3-5, UK 4-6 but adaptable for other year groups. Resources, lesson plans and local CPD workshops to help you teach computer science at the primary level. 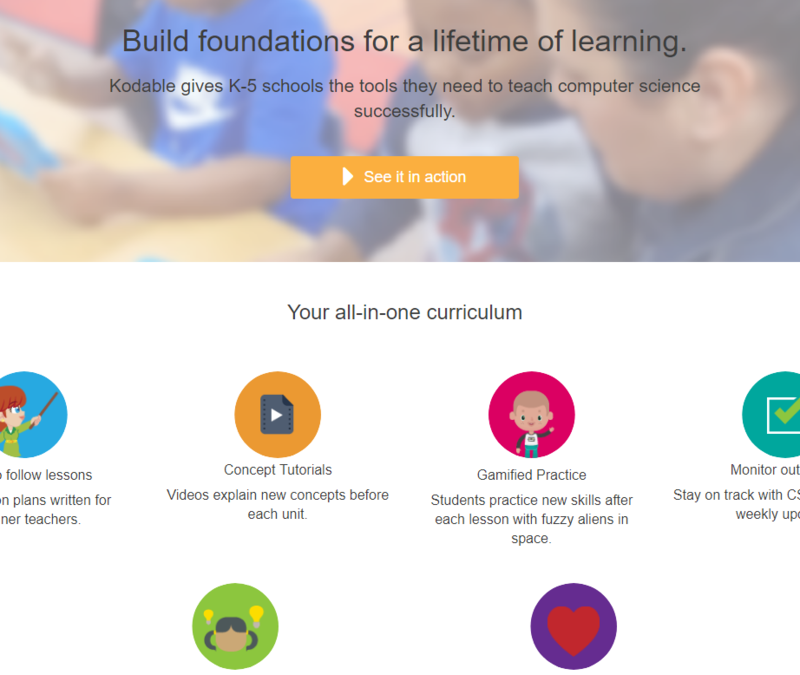 Long and short coding courses suitable for all KS1 and KS2 ages. 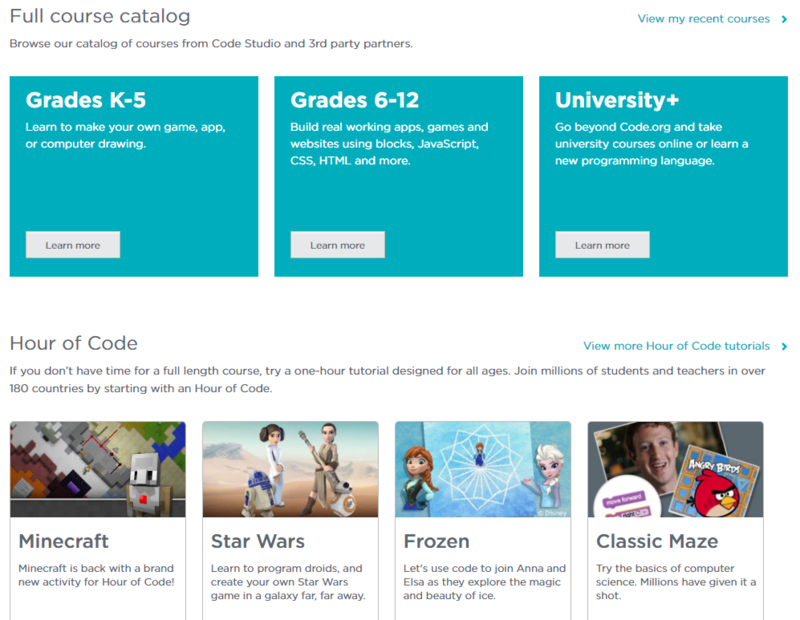 Bring coding education into the classroom with these easy-to-follow lessons, tutorials and gamified practice. Scratch is a free computer programming language which can be used to make animations, stories, games and more. 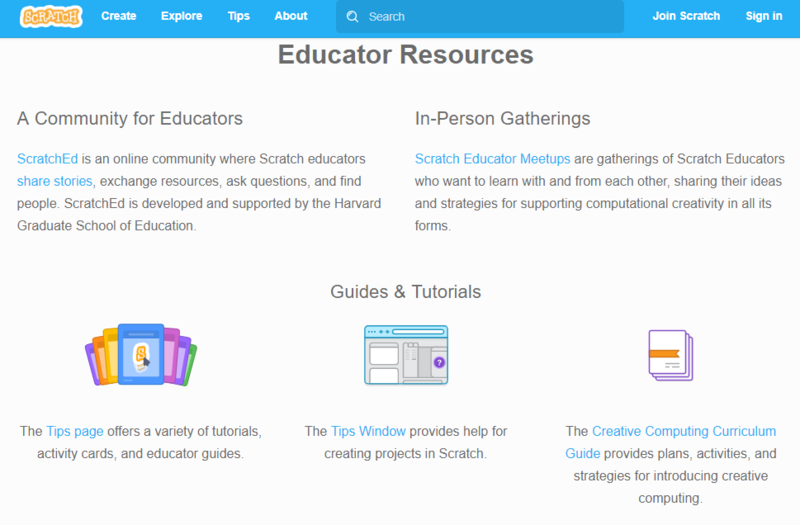 This section for educators provides tutorials and activity ideas to support the teaching of computer science in primary schools. 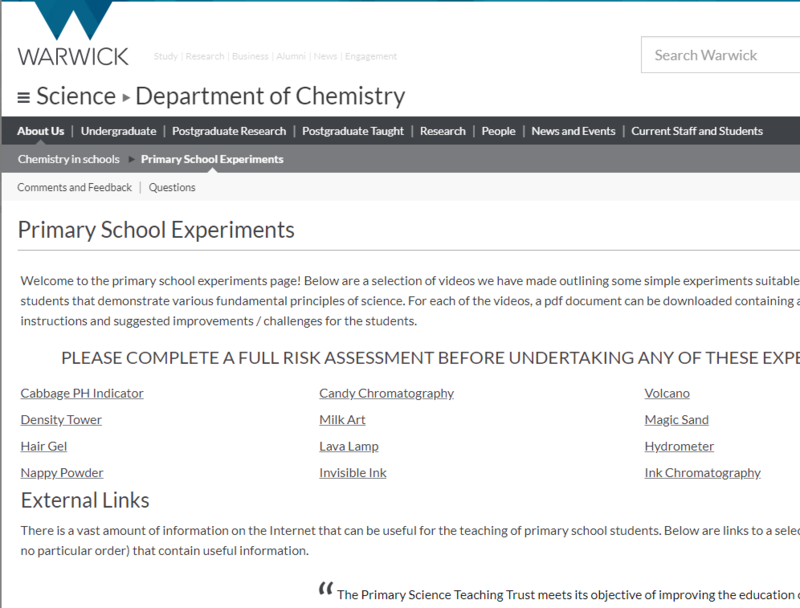 Online experiments and activities plus ideas for linking science into other topics taught in the classroom. 12 fun but simple experiments to share with your class, each comes with a video demonstration and printable instructions. 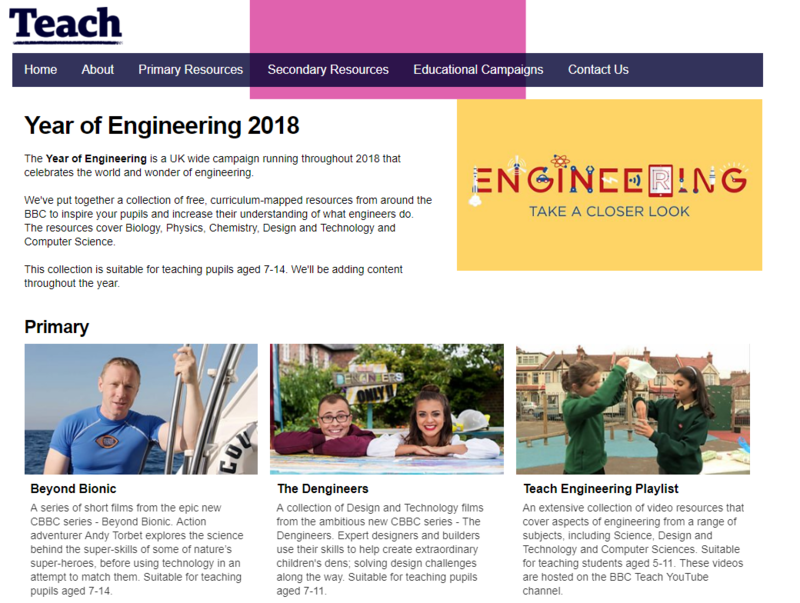 BBC Teach has put together a collection of free, curriculum-mapped resources from around the BBC to inspire pupils and increase their understanding of what engineers do. 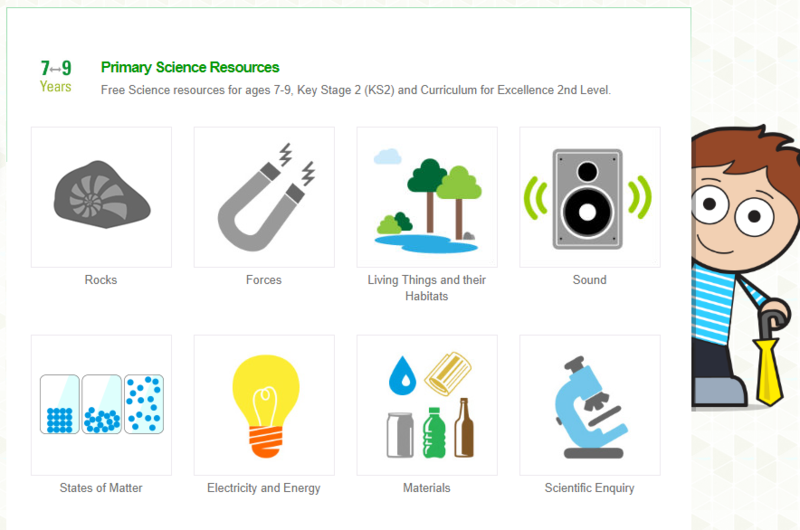 The resources cover Biology, Physics, Chemistry, Design and Technology and Computer Science. This collection is suitable for teaching pupils aged 7-14. Content will be added throughout the year. Preschool animation series introducing children to principles of STEAM (science, technology, engineering, art and maths) through eight-year-old inventor Bitz and her younger brother Bob. Ideal for EYFS children. 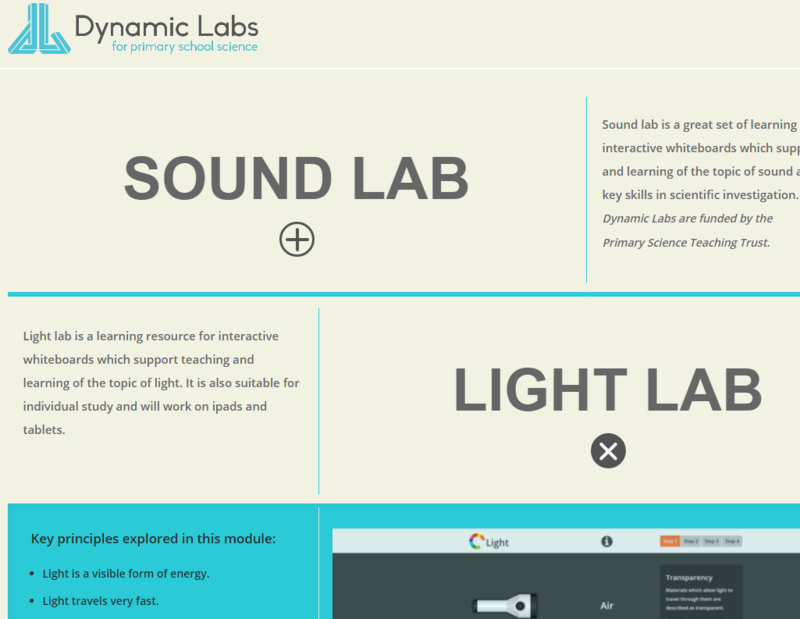 Learning resources covering the subjects of sound, light and matter. 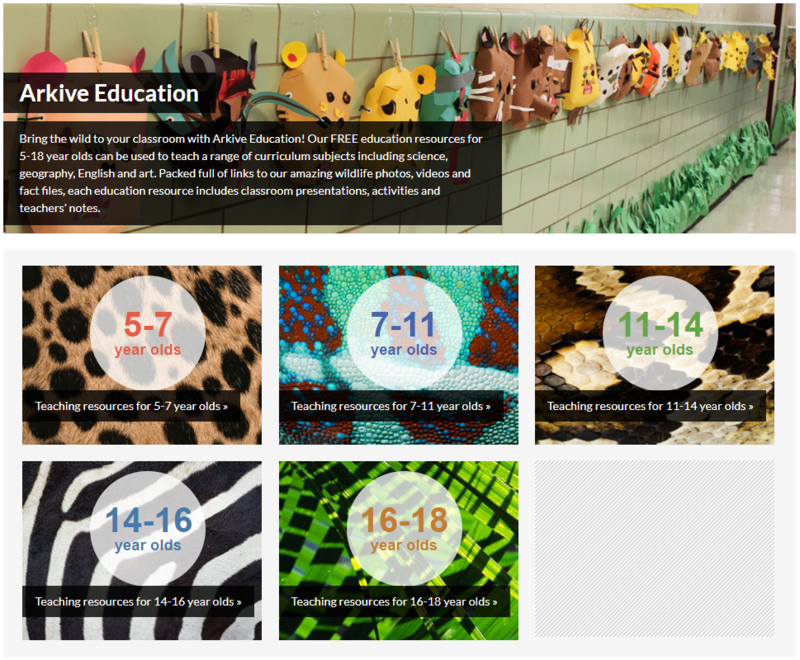 These activities are perfect for interactive whiteboards, iPads and tablets. 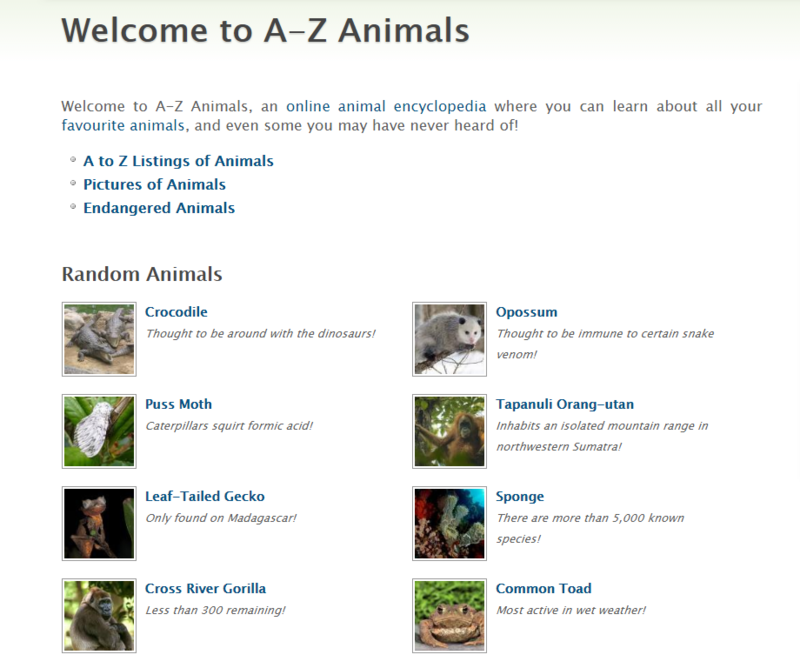 Videos, posters, worksheets, activities, games and lesson plans to cover a range of environmental topics. 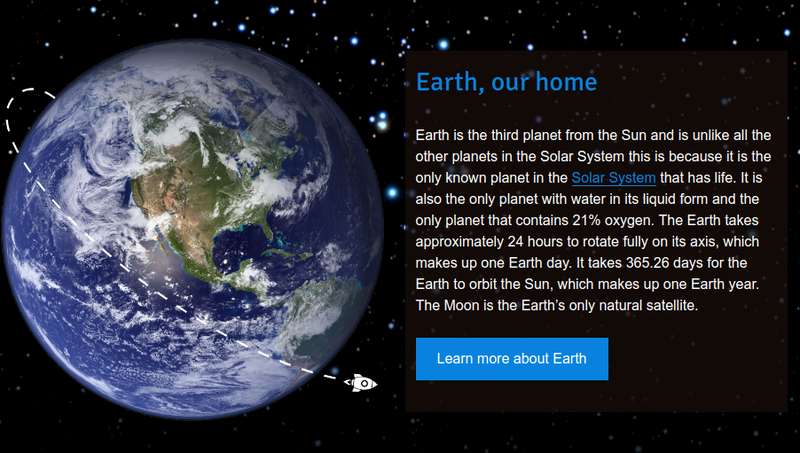 Animations and activities on energy-related topics for both inside the classroom and at home. Engineering ideas, challenges and resources. 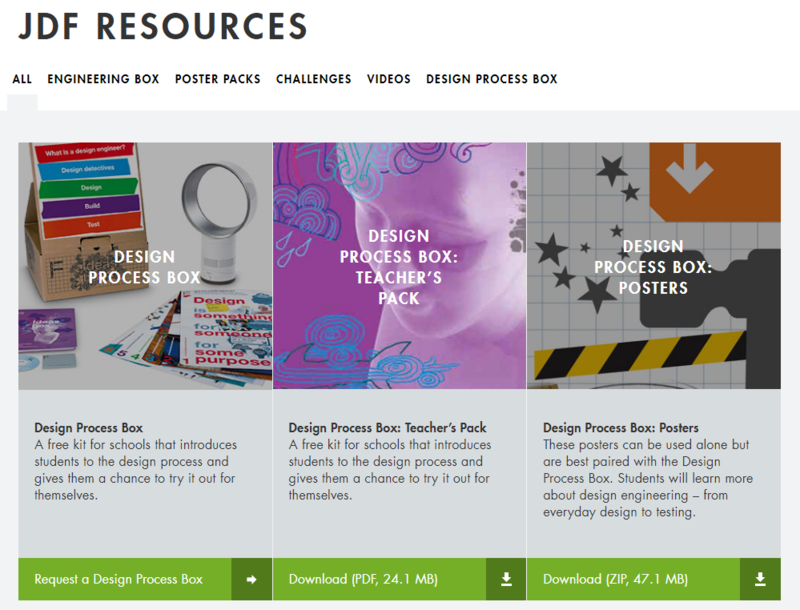 An Ideas Box Kit can be loaned for 6 weeks to teach engineering (with links to English, Maths and enterprise). 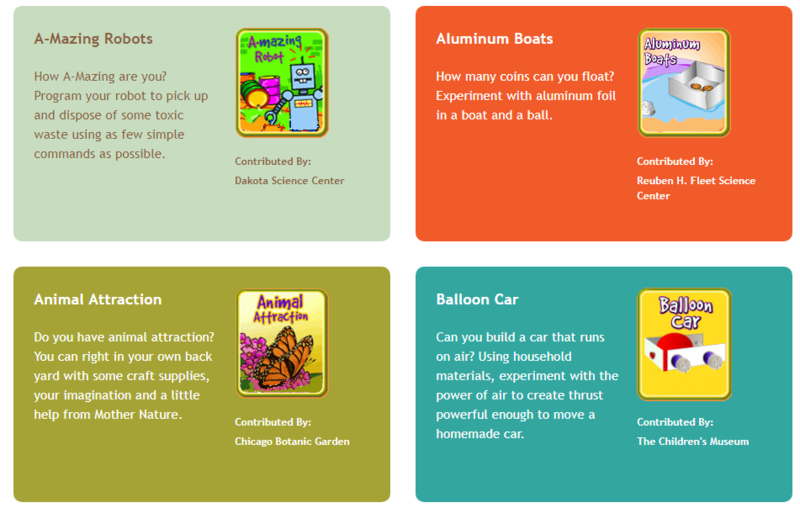 ‘Quick challenges’ offer 44 further downloadable hands-on STEM activities. 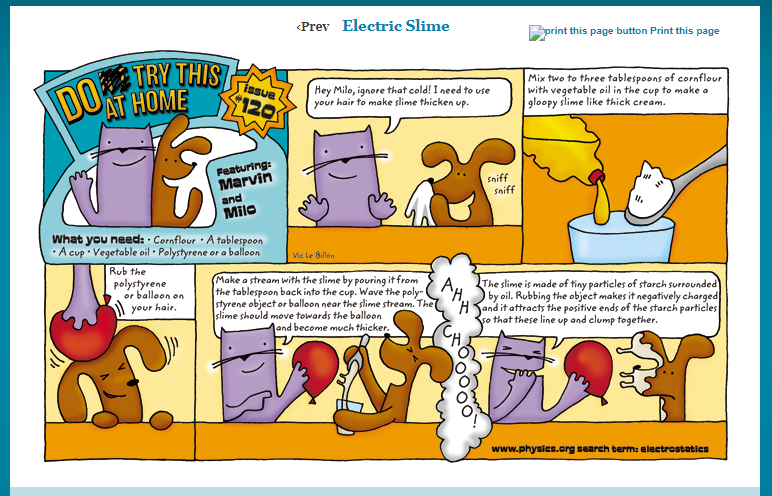 With this simple experiment students get to make a stream of slime and learn about electrostatics in the process. Looking for relevant and up to date news about what’s happening on the International Space Station? 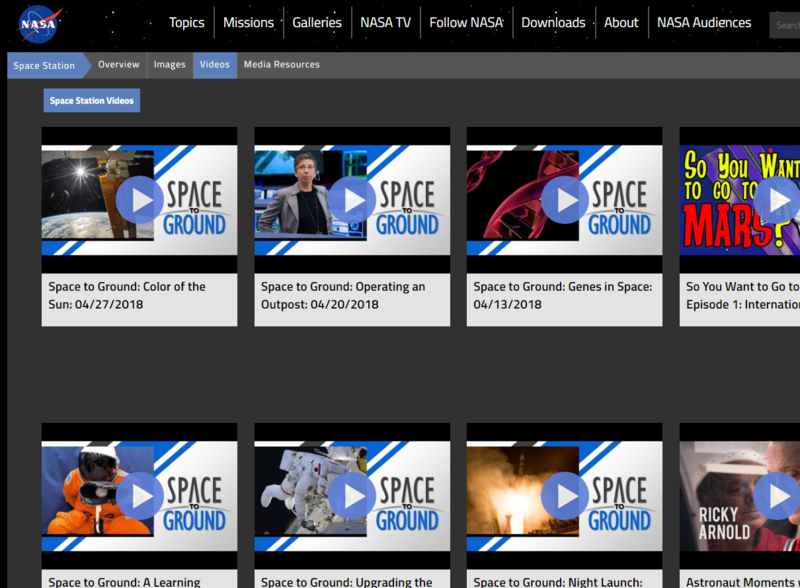 Nasa creates a weekly news bulletin, Space to Ground’ providing updates on activity on the ISS. The video clips are all accessible and form a great resource for discussion, starter activity or to generate questions, and these also make great prompts/ideas for writing tasks. 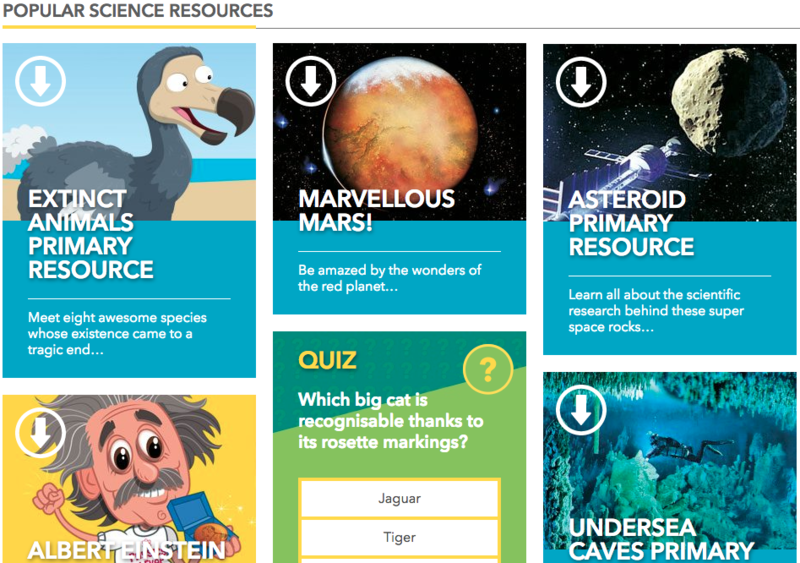 A range of resource types to teach students about space. 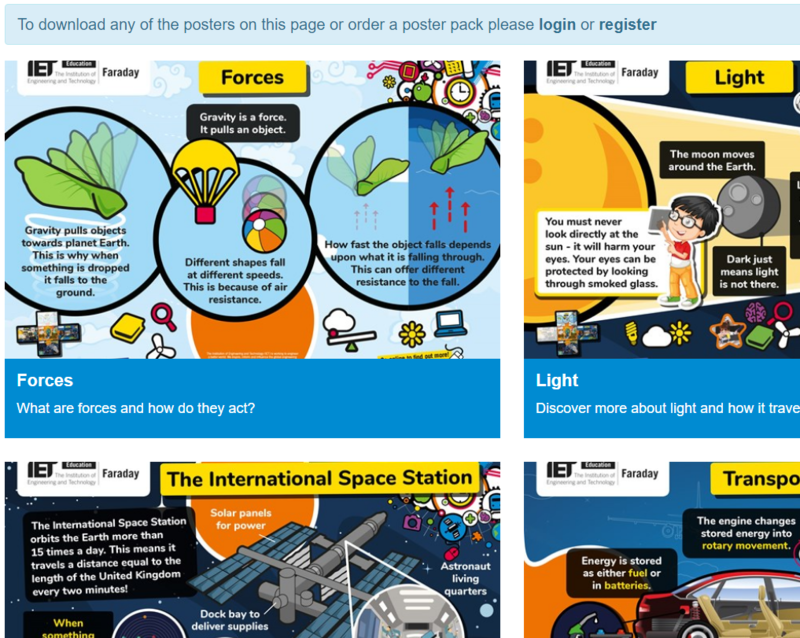 15 colourful and educational posters to download or order for your classroom. 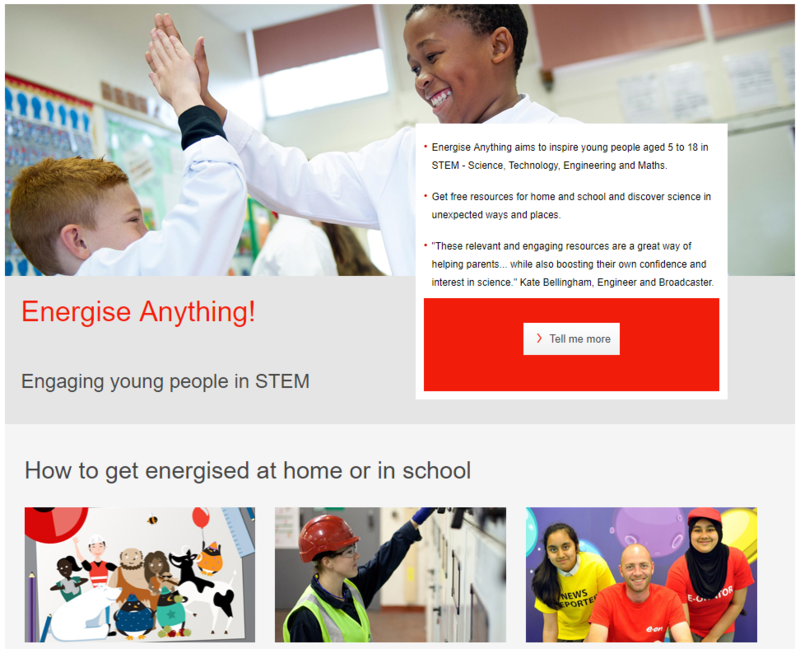 Together they cover a range of physics and engineering topics in the primary curriculum. 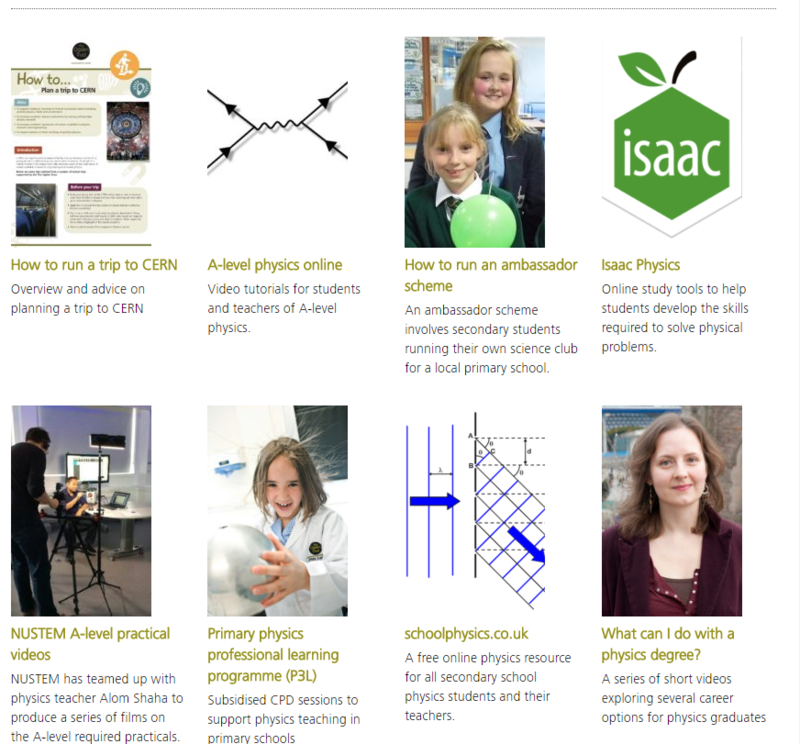 Guides, ideas and courses to help bring physics into the primary classroom. 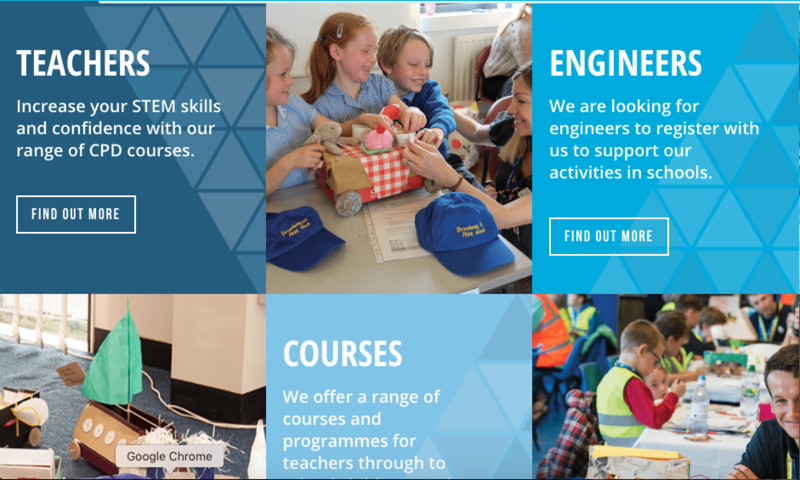 Courses and competitions to support and encourage the teaching of engineering, problem solving and programming in schools. Originally a project to follow the mission, further resources and follow-up activities have been added. 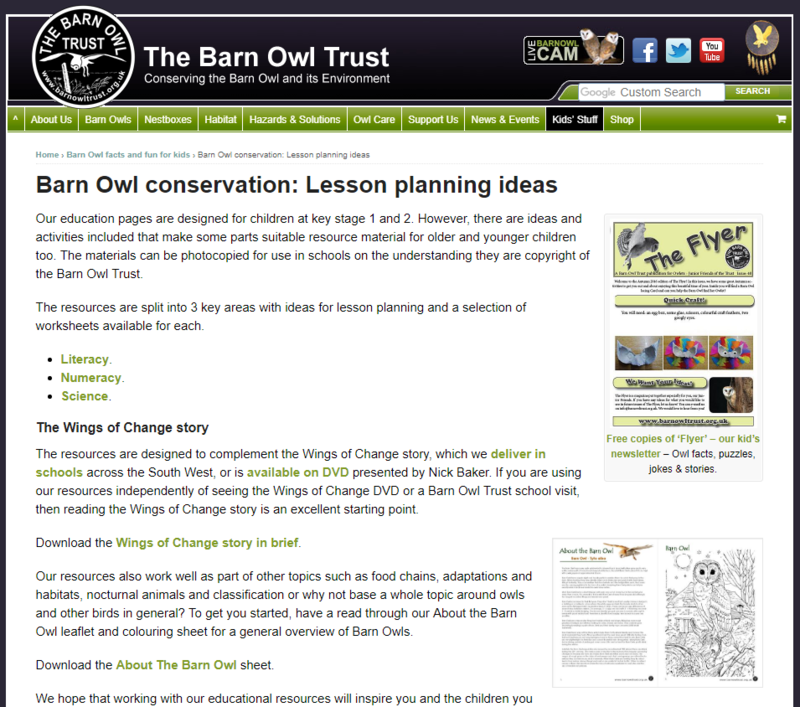 Contains lessons plans, teaching materials, games and other activities. 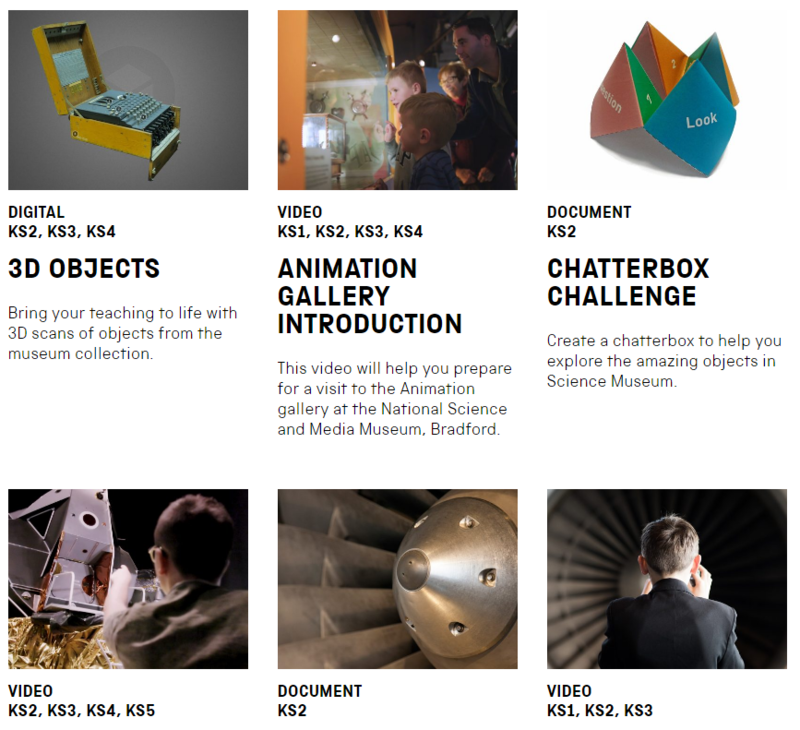 10 KS2 activities which encourage students to apply skills they have learnt across all the STEM subjects. 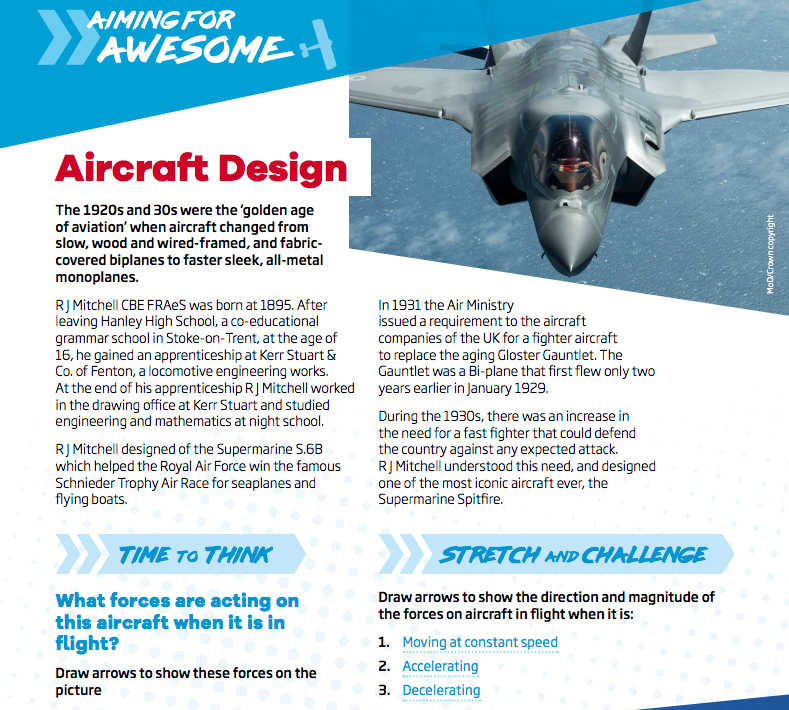 These challenges incorporate different aspects of RAF history such as aircraft design, speed and logistics. 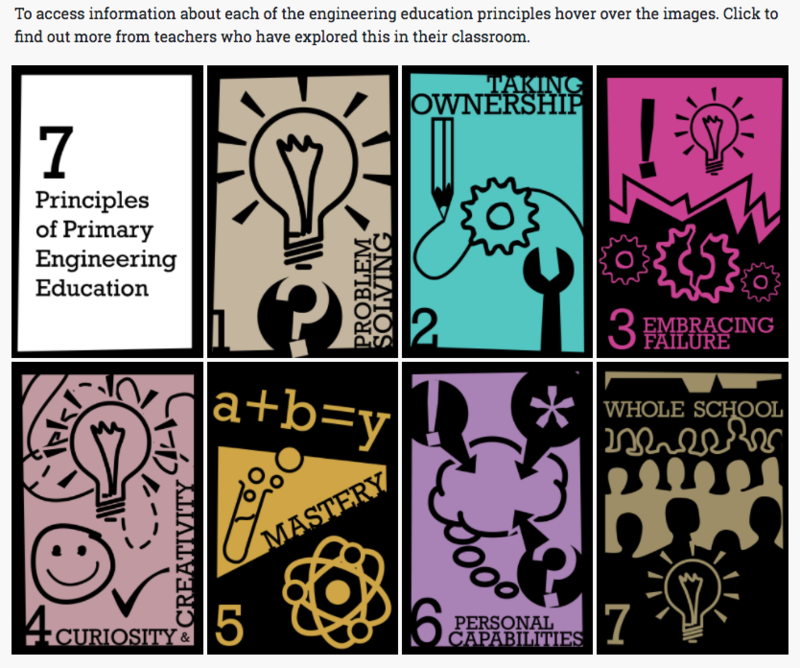 Lesson plans to bring engineering education into your classroom. 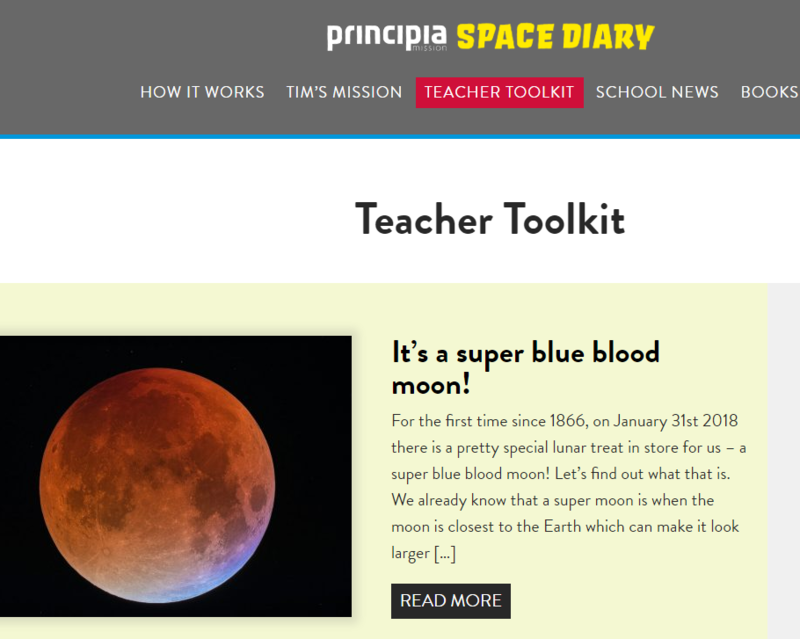 Free to access teaching materials, facts and CPD opportunities relating to space. 1001 Inventions raises awareness of the creative golden age of Muslim civilisation. 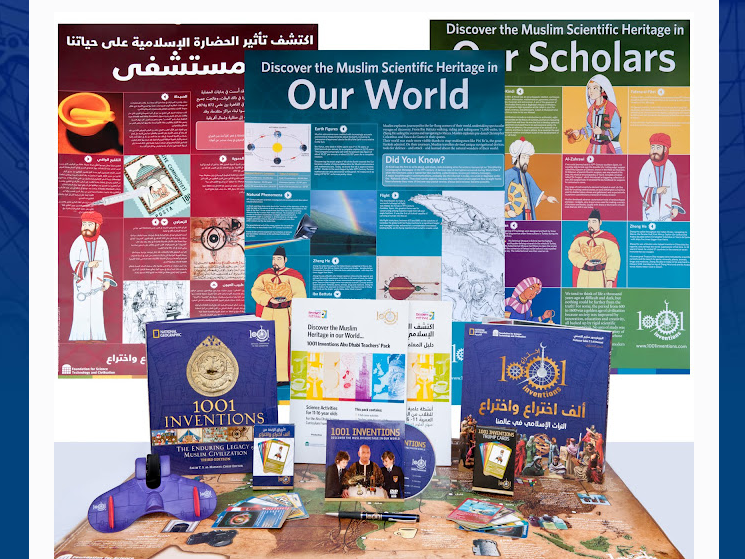 They have created books, teachers’ guides, activity sheets and learning games to spark interest in science while promoting intercultural dialogue, social cohesion and mutual respect. 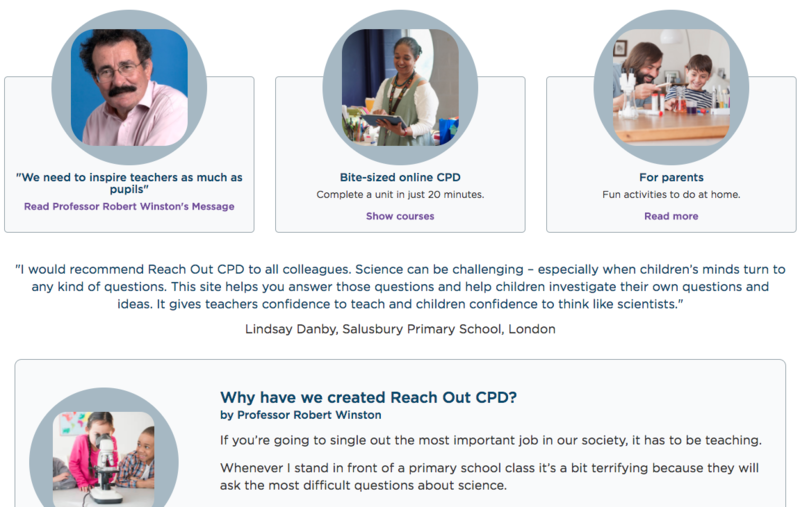 A large collection of hands-on activities to cover the KS2 science curriculum. 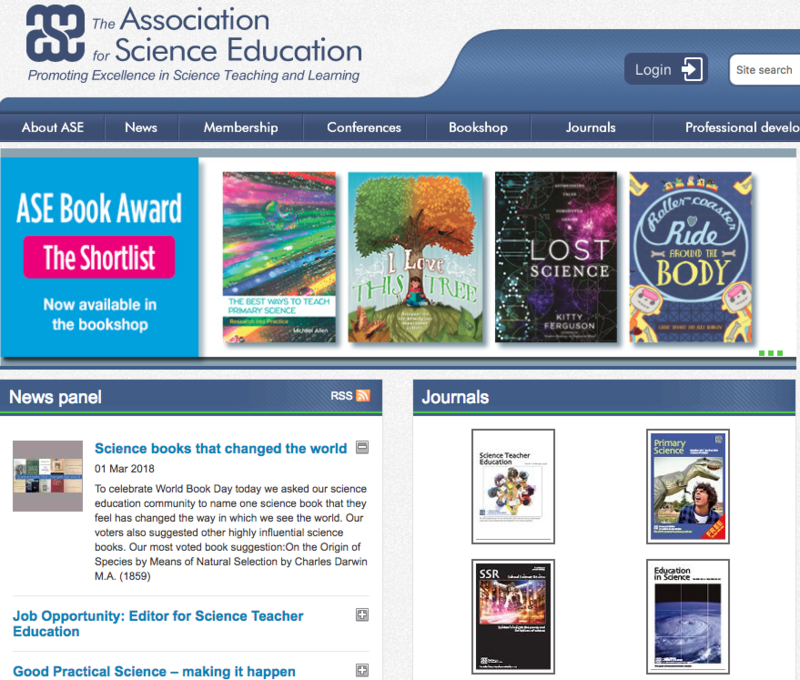 The largest subject association in the UK, The ASE provides support for teachers of science at all levels, from pre-school to higher education. 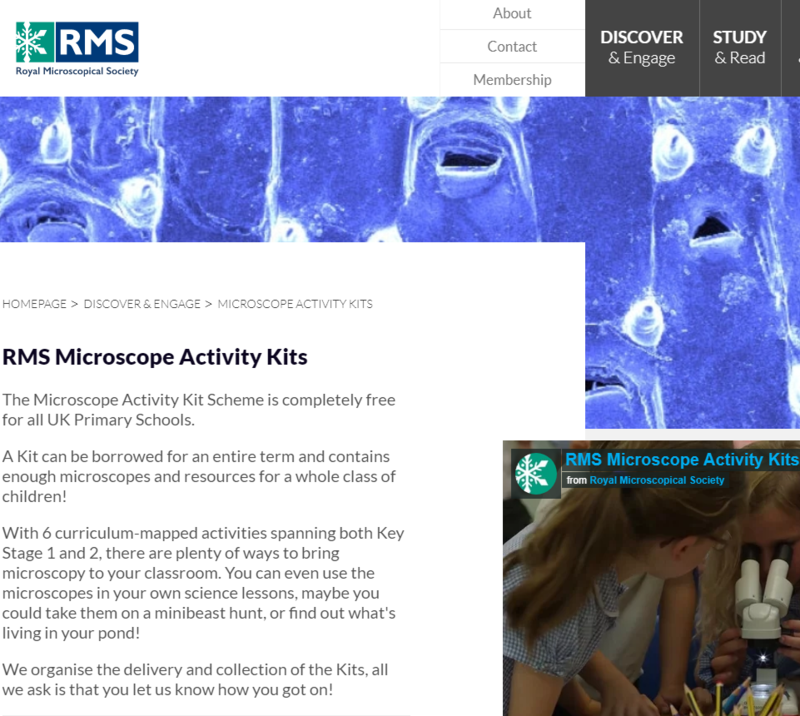 Educational videos covering the KS1 and KS2 subjects with online activities to follow up with. 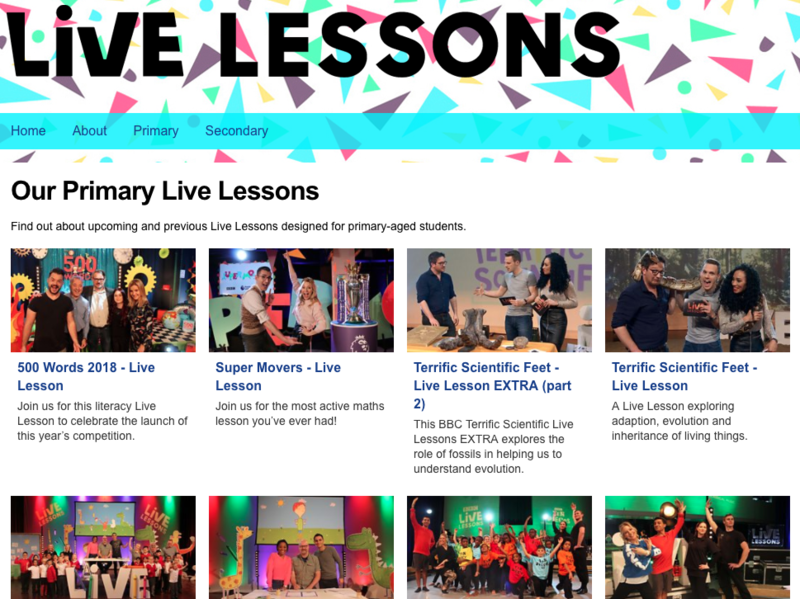 A selection of lively lessons exploring different subjects of the primary science curriculum. The shows are presented by members of the CBBC team and experts in the fields and come with activity sheets for students to complete throughout the screening. 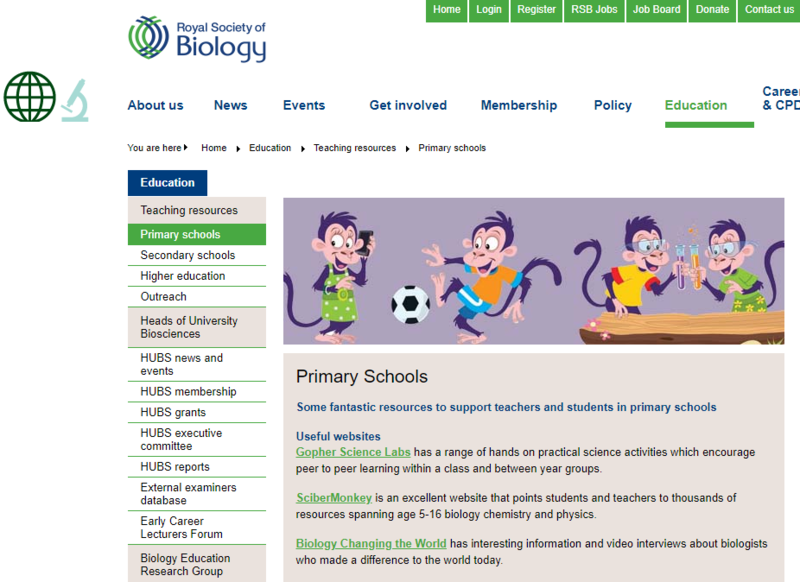 A vast range of resources around bioscience for all ages. 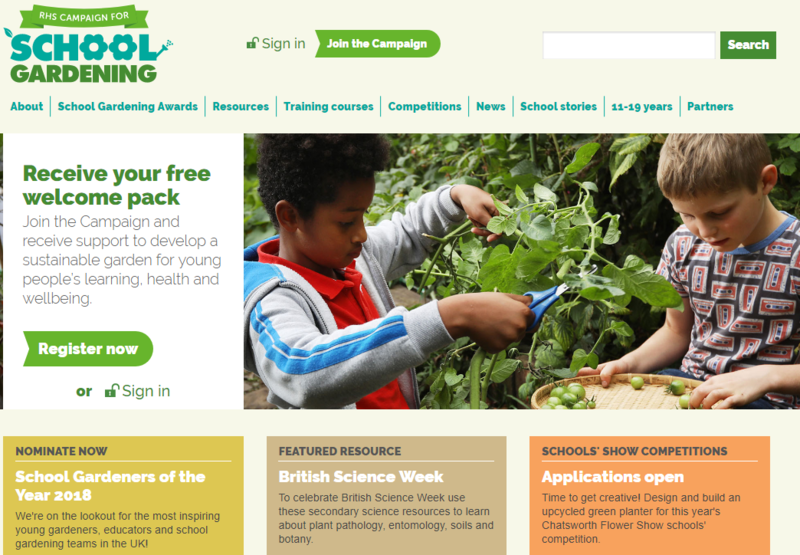 Free science resources for teachers to use with children in both KS1 and KS2. 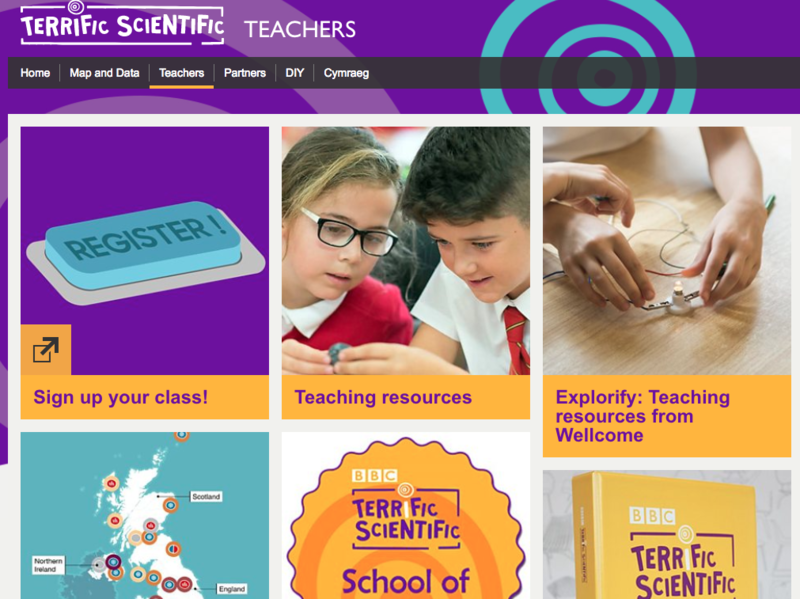 This website also provides D&T and Geography resources. Topics can be used as a stimulus for discussion in the classroom. 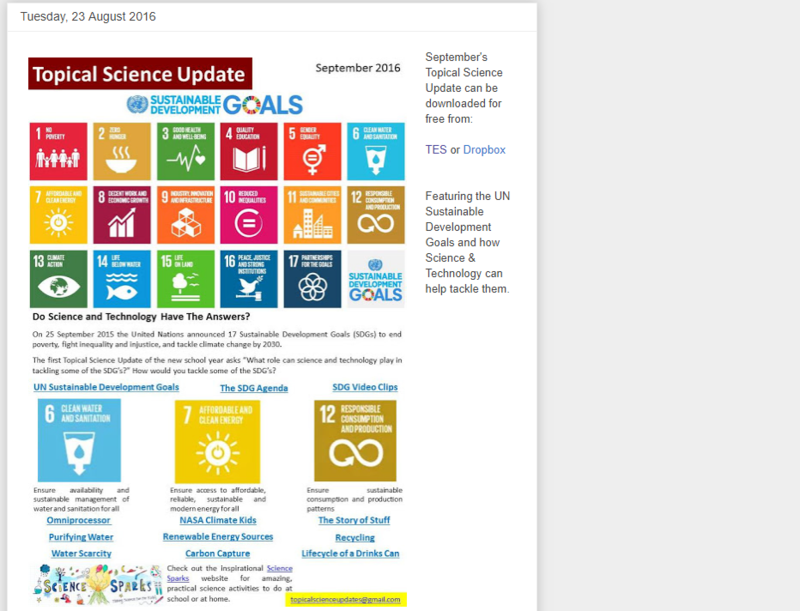 Lots of topic-based science lesson plans promoting scientific enquiry in real industrial context. Specific activities to suit various age groups (5-7, 7-9. 9-11). Engage your students in these STEM-based challenges and they can gain a CREST Award. The student-led activities can help install confidence for the transition from primary to secondary levels by encouraging communication, teamwork and creativity to solve a problem. 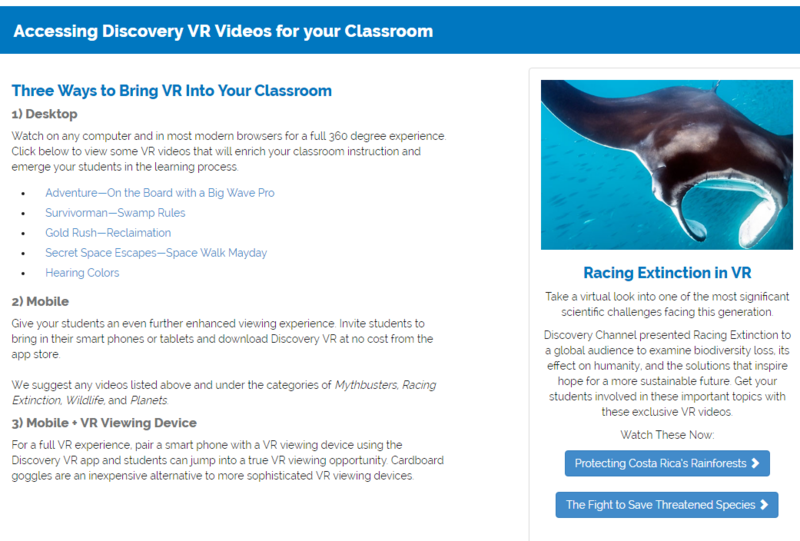 Ideas and clips to bring VR into the classroom and take students to a whole new immersive level of learning! 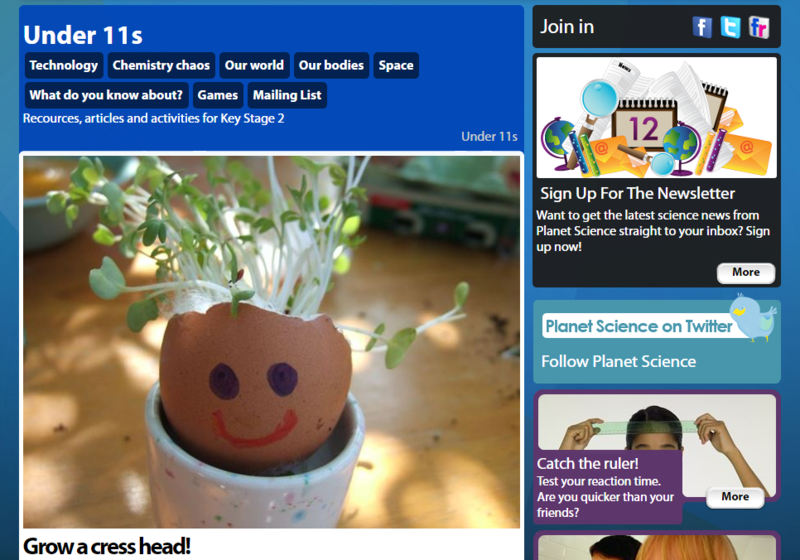 News articles to spark discussion in your science lessons. Presentations, lesson plans, activity sheets, and posters to cover all aspects of Earth science in the KS2 curriculum. 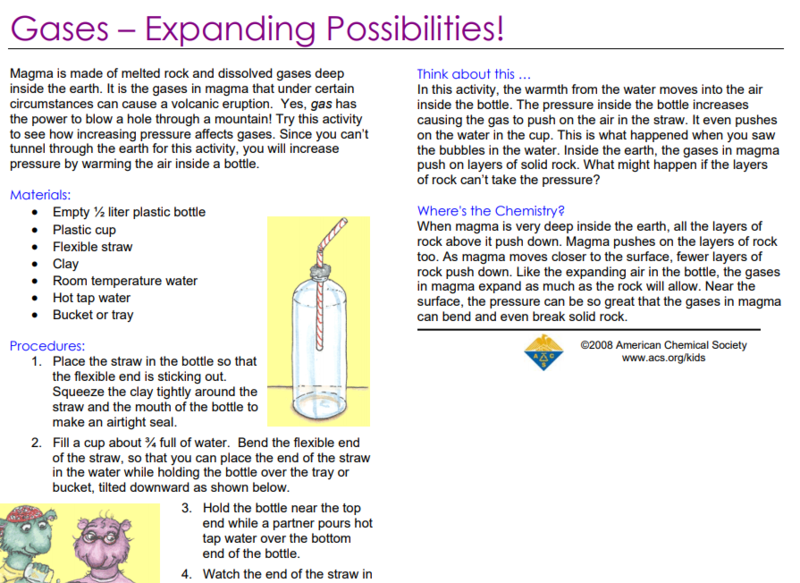 Engaging activities to get your students thinking like scientists. Start off with just a few and unlock more! 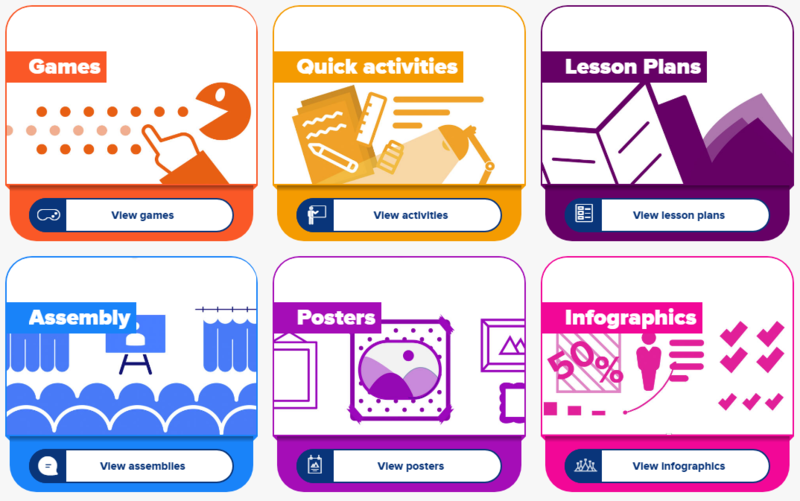 A vast collection of activity pages to print out for pupils. 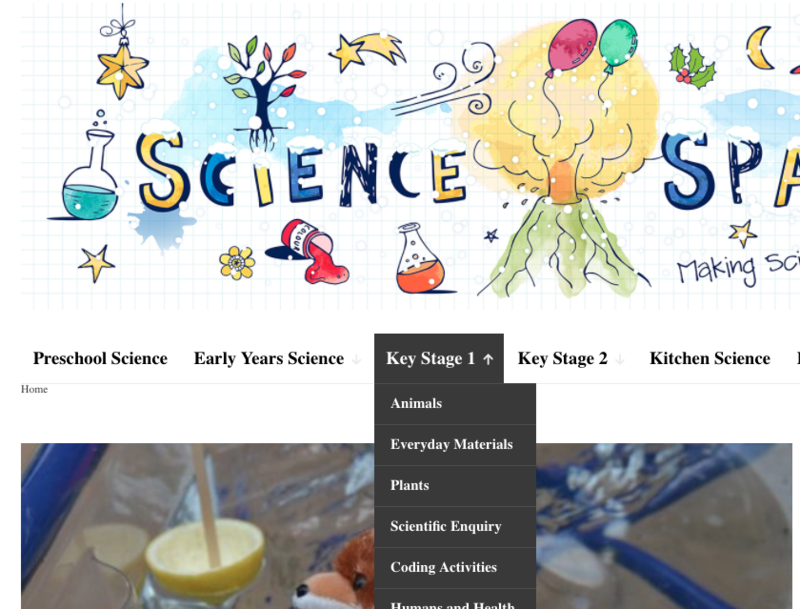 Resources, articles and activities for Key Stage 2. STEM teaching resource which embed global issues into hands-on problem solving STEM challenges such as Ditch the Dirt and Stop the Spread. All come with teachers notes, pupil worksheets, PowerPoints, posters and certificates. 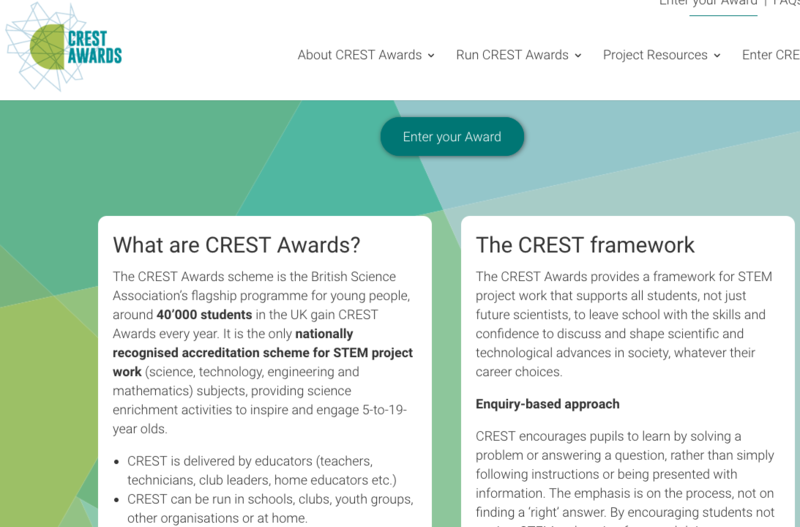 An award programme to develop all aspects of science teaching and learning in your school. 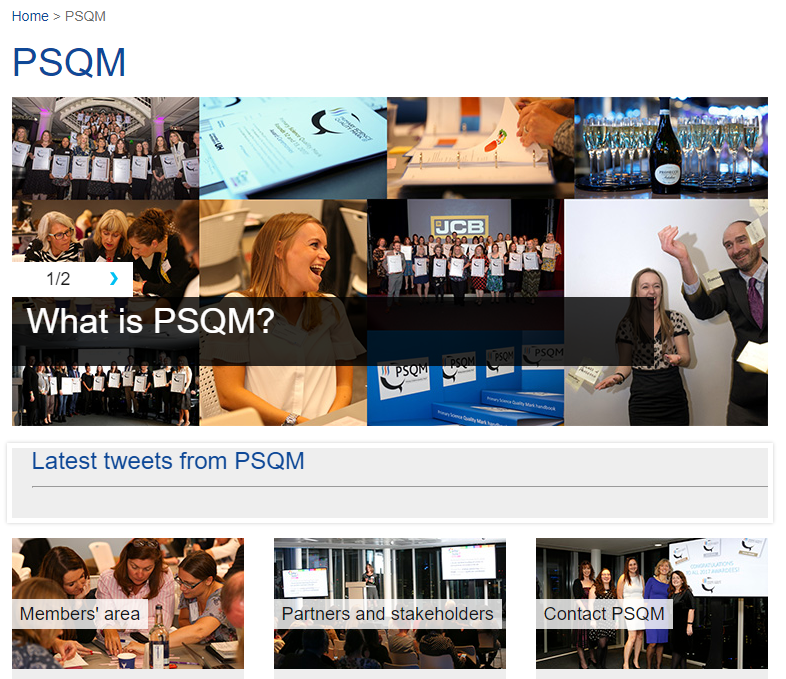 By taking part you get access to a number of great PSQM resources. 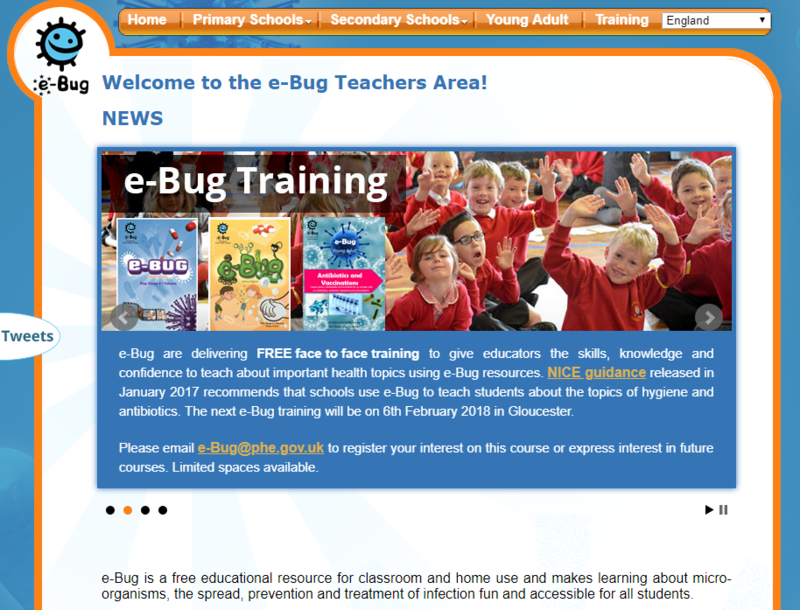 A collection of CPD units to improve the confidence and competence of teachers, and curriculum materials to engage students in the classroom. 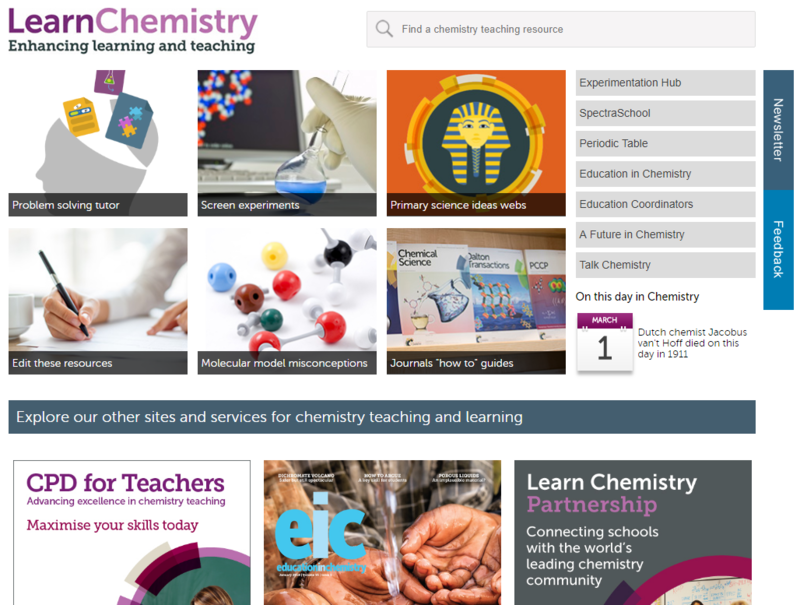 Free online CPD developed by Imperial College, London in partnership with Tigtag Science. 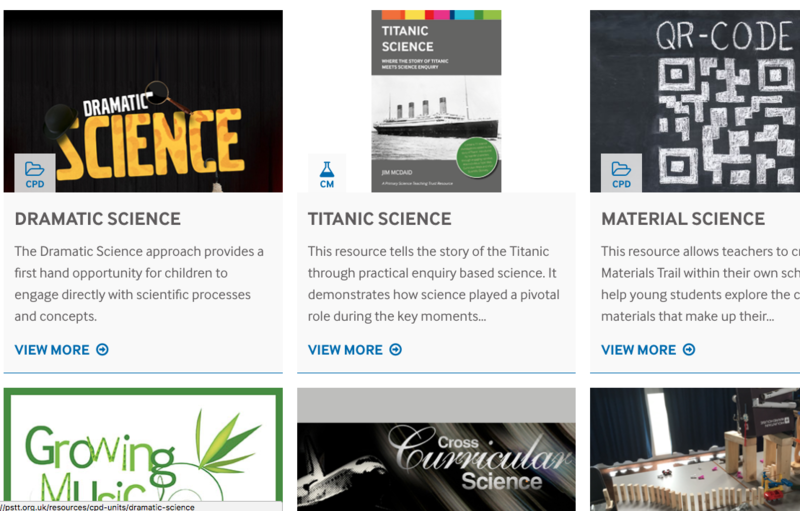 Integrate topical science stories into your classroom with these videos, articles, fact packs and activities. Lots of fun experiments that use only common household objects. Each hands-on activity is presented as a short film and accompanied by an information sheet, certificates and badges for completing the experiments. L&apos;Oreal Young Scientist Centre is a laboratory at the Royal Institution that offers workshops for students to explore all aspects of science. 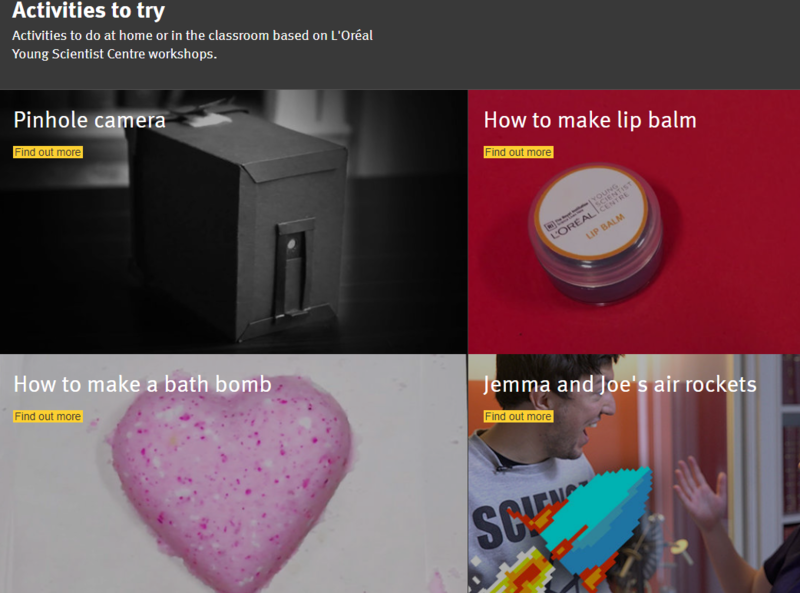 This webpage suggests some similar activities you can try in your classroom. 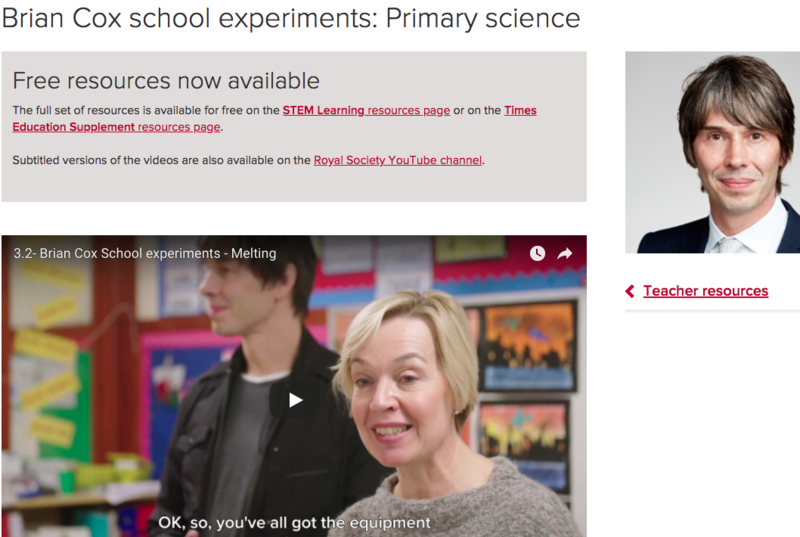 Video resources for 6 classroom experiments to spark curiosity in your students. 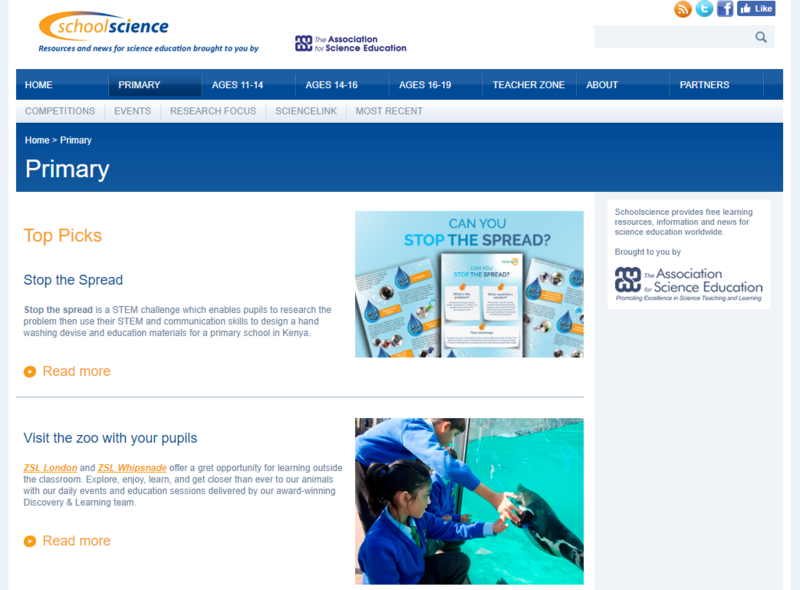 Links to resources that support the teaching of different topics within the science curriculum. 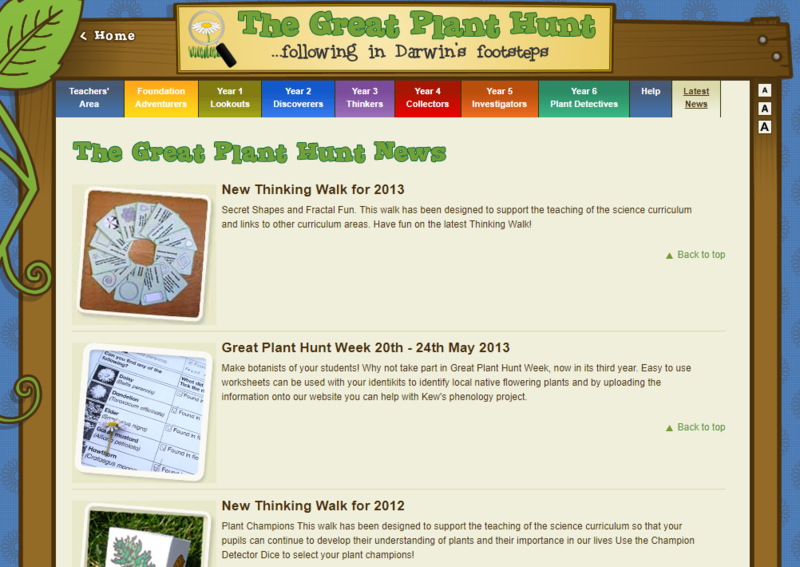 Also provided are links to fun quizzes, activities and events. 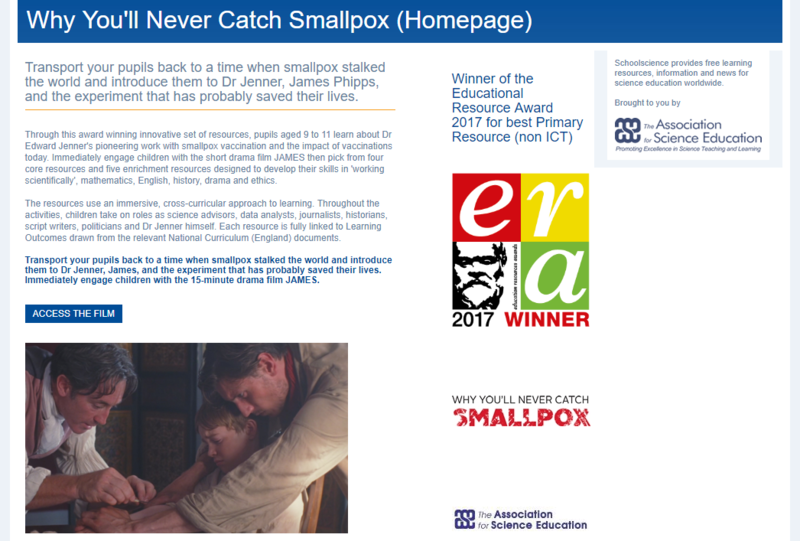 An award-winning set of cross-curricular resources for pupils aged 9-11 focussing on Edward Jenner’s development of the smallpox vaccination. 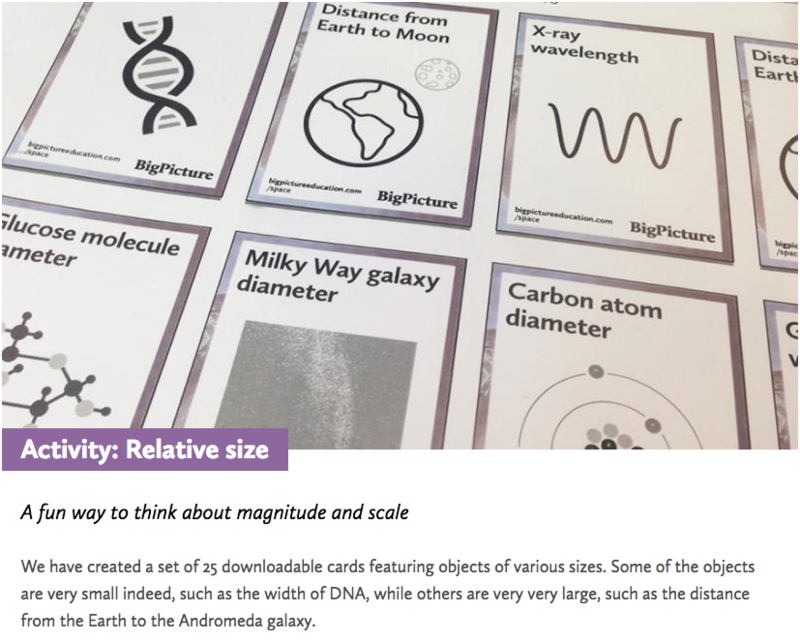 Creative ideas for introducing important science concepts into your classroom and helpful guides for school visits to the museum. 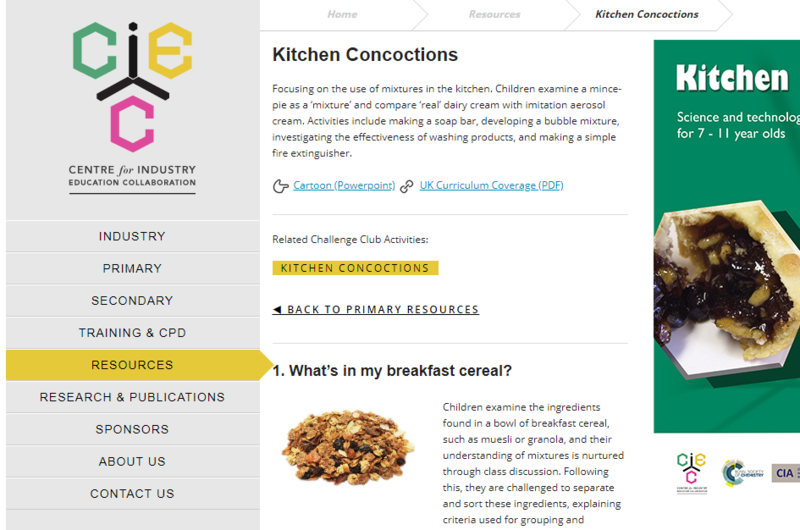 Fun biology, chemistry, physics and engineering activities for the classroom and home. Also available as an app. 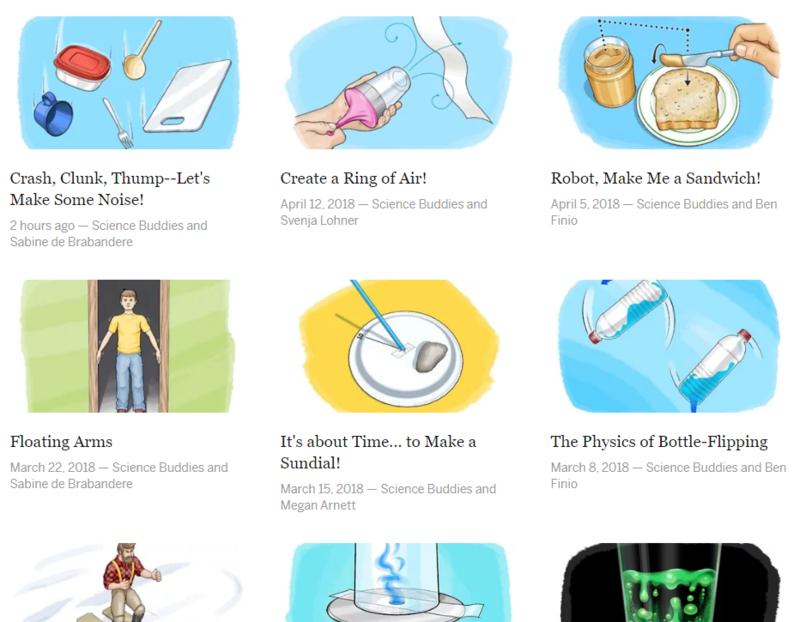 Fun science experiments to incorporate into the classroom. These activities cover a wide range of topics and are all designed to take no longer than half an hour. 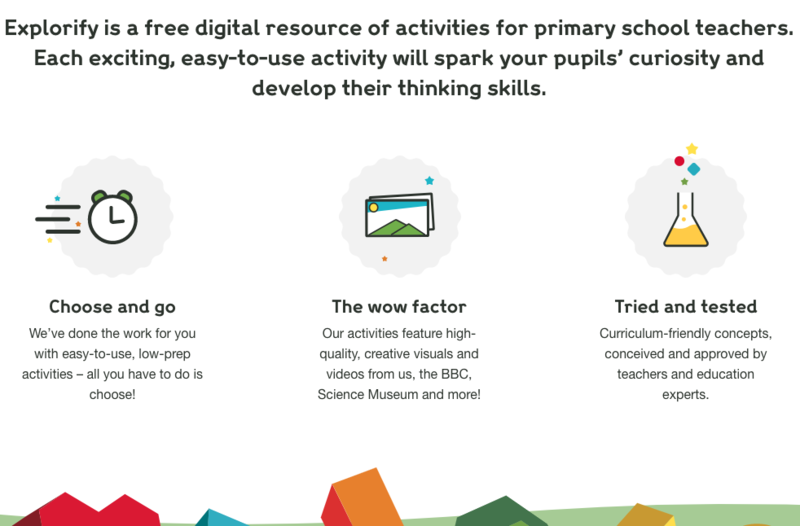 A wealth of supporting resources and CPD opportunities for primary teachers. 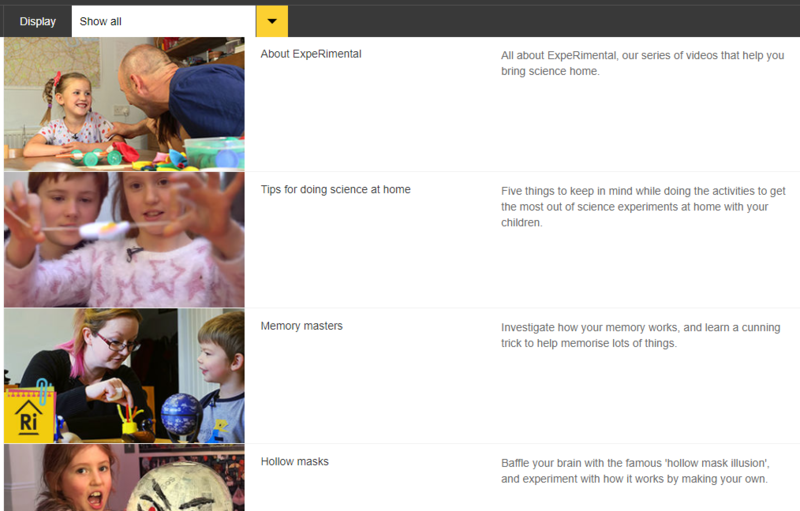 An collection of experiments for children to try. 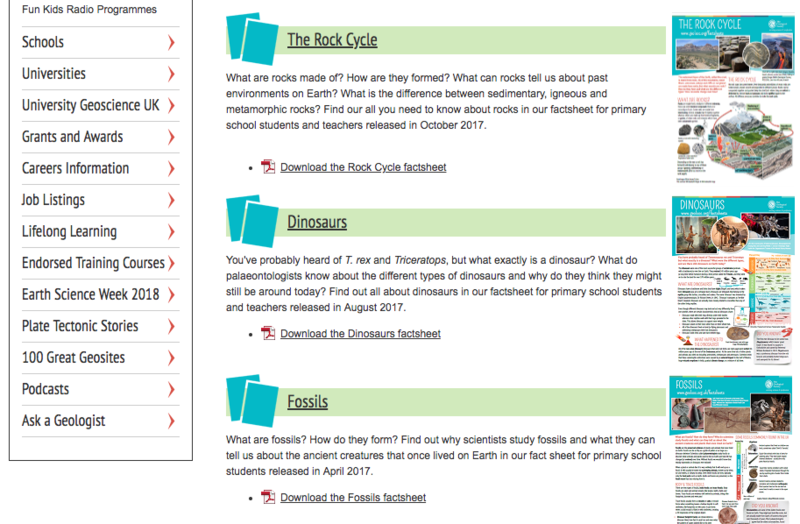 Each comes with a concise scientific explanation, teacher tips and discussion points for the classroom. Investigations the whole class can complete, this website provides lesson plans, student handouts, instructional videos and additional links to support the lesson. 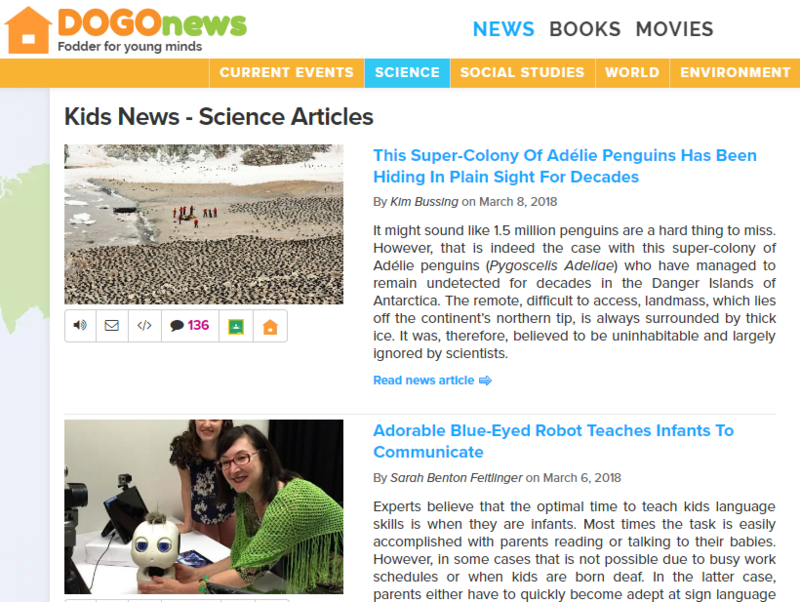 Information about the latest science news and links to resources, videos and websites to support the discussion of these topics in your classroom. 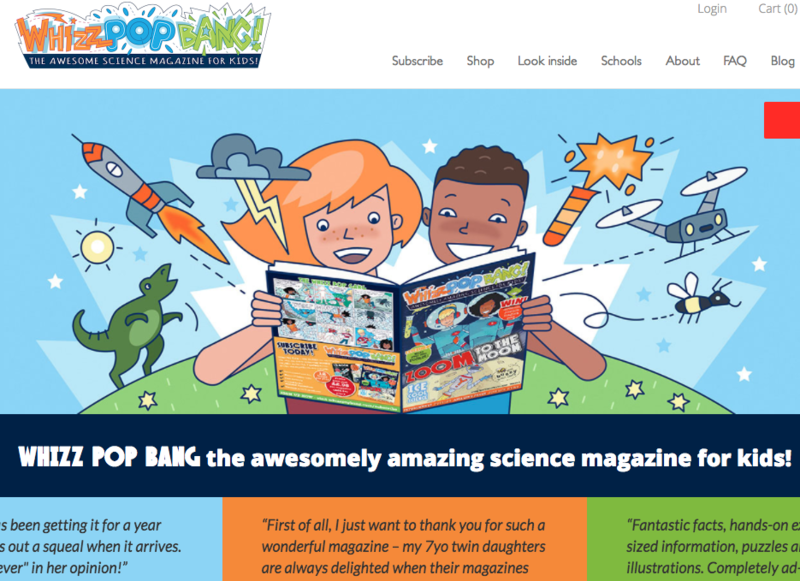 A science magazine full of fun facts, puzzles, news, experiments and interviews.Please note this is a commercial resource with subscription costs. 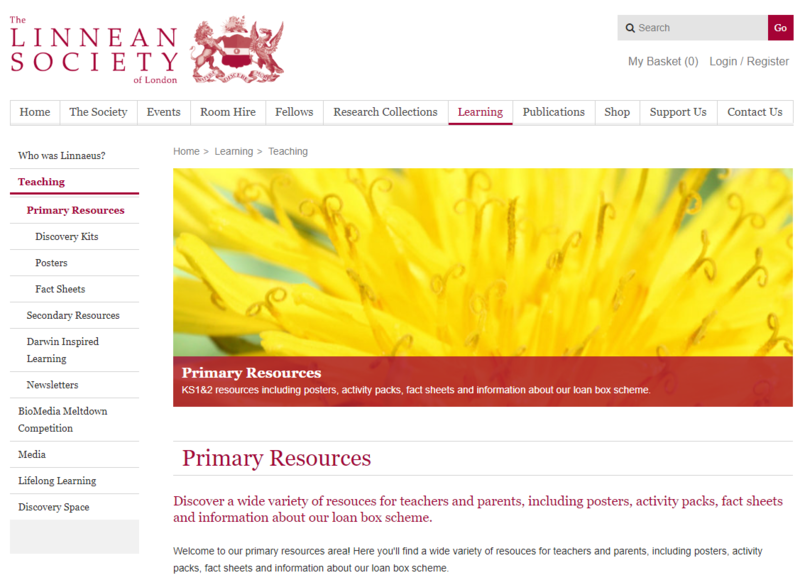 If you would like us to consider a resource for the site, please contact us by emailing primaryscience@learnsci.co.uk.